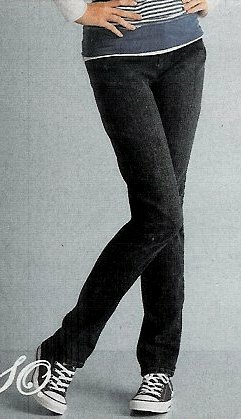 Photo gallery of advertisements for various brands of blue jeans shot with high top and low cut chucks. 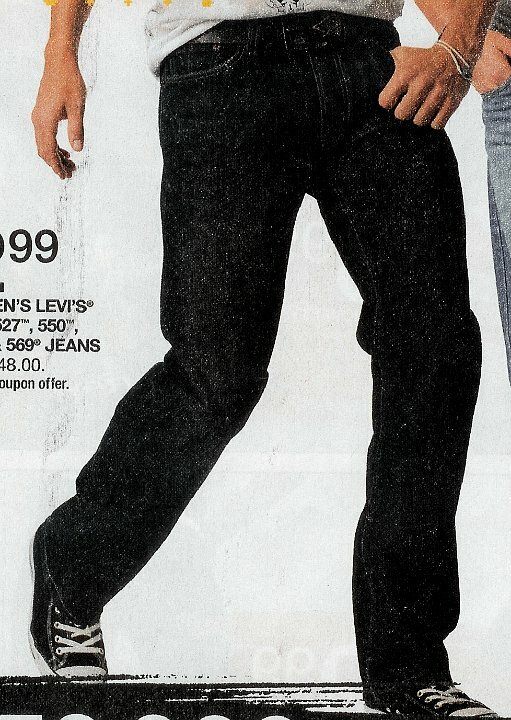 1 Ads for Levis and Jeans Black levis with black low cut chucks. 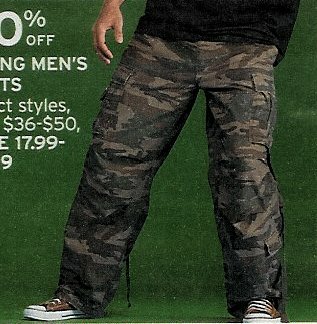 2 Ads for Levis and Jeans Black denim cargo jeans with charcoal chucks. 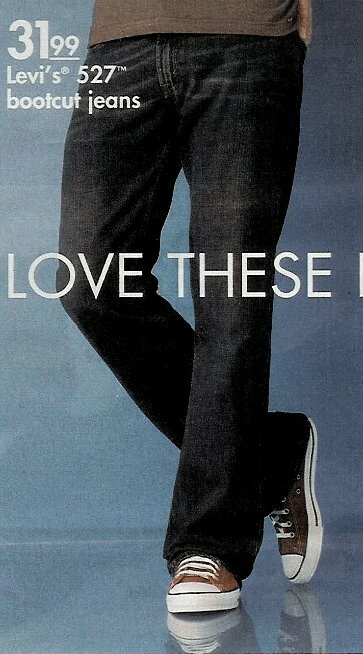 3 Ads for Levis and Jeans Dark blue denim Arizona carpenter jeans with black chucks. 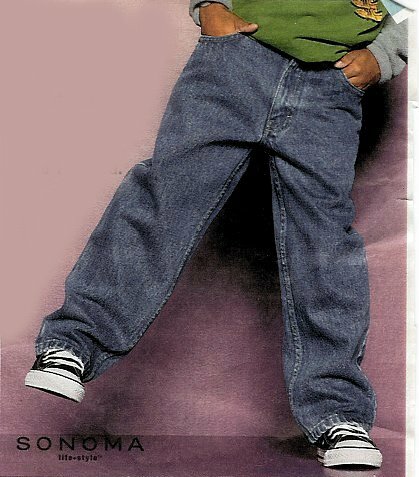 4 Ads for Levis and Jeans Ad for Sonoma five pocket jeans with black chucks. 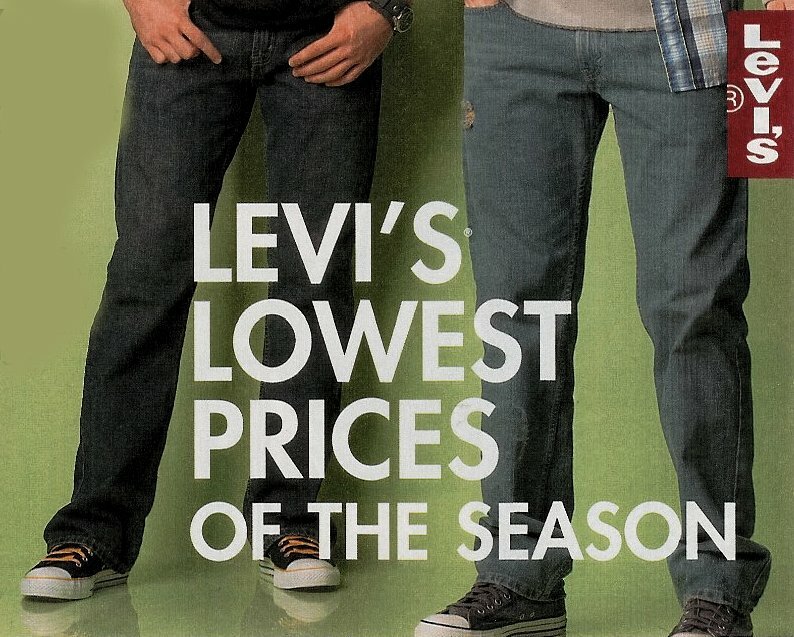 5 Ads for Levis and Jeans Ad for Levis jeans with black and distressed black high top chucks. 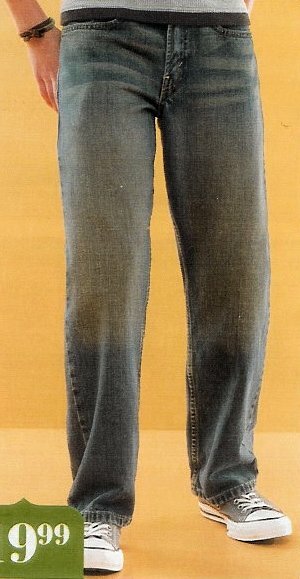 6 Ads for Levis and Jeans Ad showing black and faded blue jeans with white chucks. 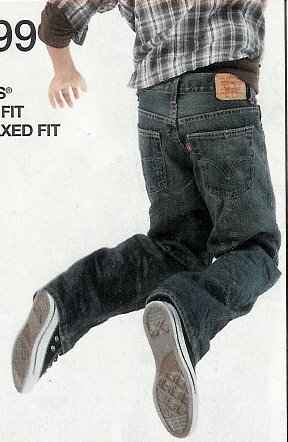 7 Ads for Levis and Jeans Ad for young men's and juniors' Levis with distressed black and chocolate brown chucks. 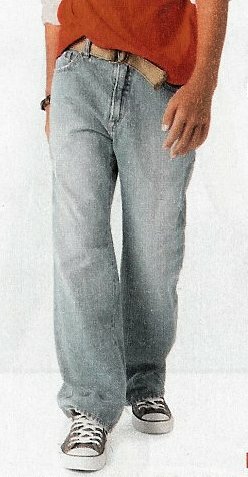 8 Ads for Levis and Jeans Ad for Levis 501 jeans with black chucks. 9 Ads for Levis and Jeans Ad for distressed blue jeans with black chucks. 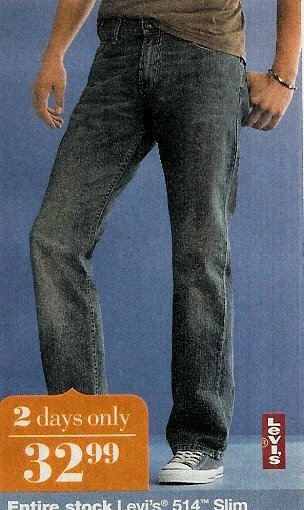 10 Ads for Levis and Jeans Dark blue denim jeans with chocolate brown chucks. 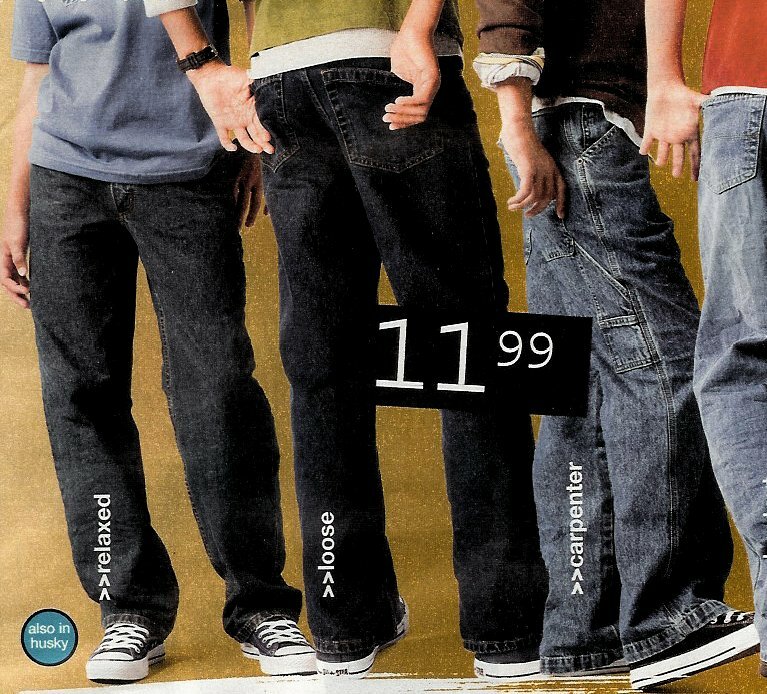 11 Ads for Levis and Jeans Ad for High Sierra loose denim jeans with black high top chucks. 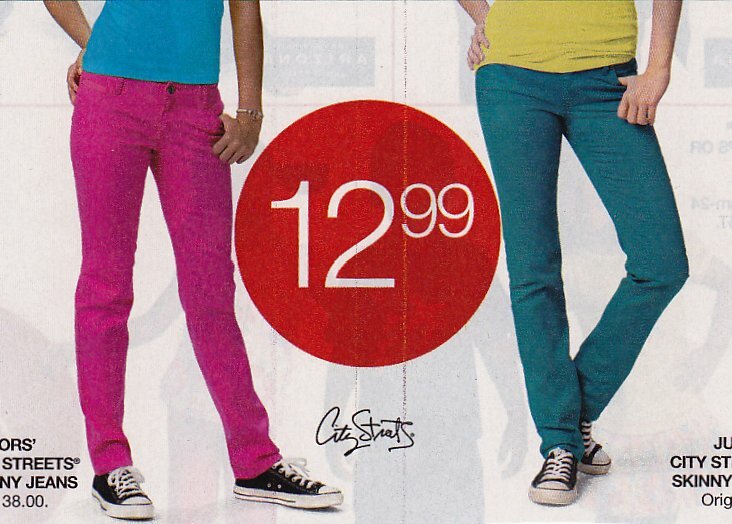 12 Ads for Levis and Jeans Ad for embroided jeans for girls with distressed red or pink chucks. 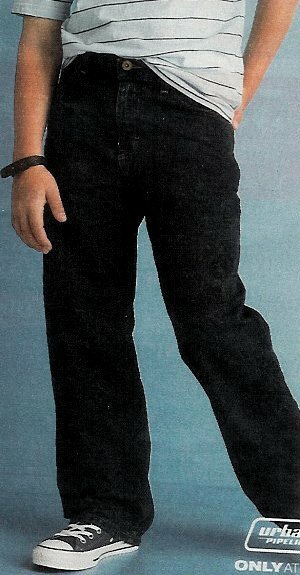 13 Ads for Levis and Jeans Ad for boys' dark denim blue jeans with black chucks. 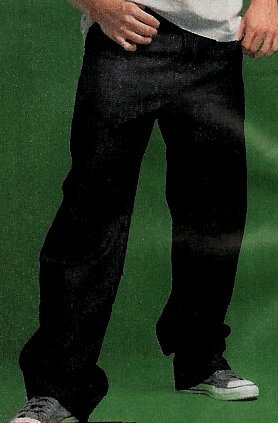 14 Ads for Levis and Jeans Ad for young men's Dickies jeans with black, green, and amber foldover high top chucks. 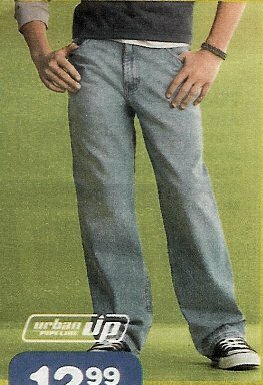 15 Ads for Levis and Jeans Ad for Dickies pants with distressed black high top chucks. 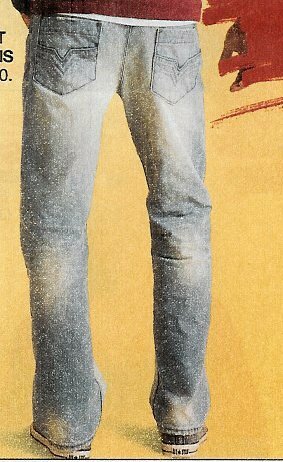 16 Ads for Levis and Jeans Ad for dark denim jeans with chocolate brown chucks. 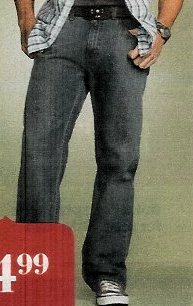 17 Ads for Levis and Jeans Ad for men's 527 Levi's jeans with black chucks. 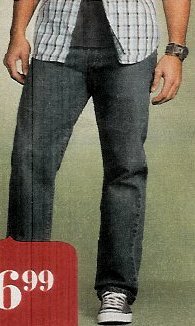 18 Ads for Levis and Jeans Ad for Men's 559 Levi's jeans with black chucks. 19 Ads for Levis and Jeans Ads for Levi's jeans with black, green and amber roll down high tops and distressed black high tops. 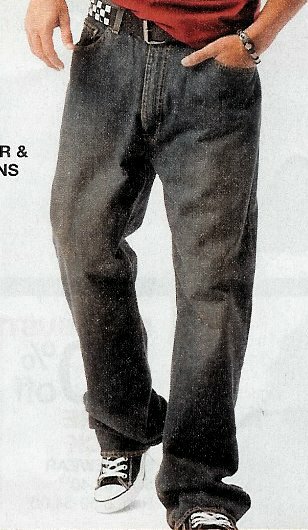 20 Ads for Levis and Jeans Ad for Dockers pants with optical white chucks. 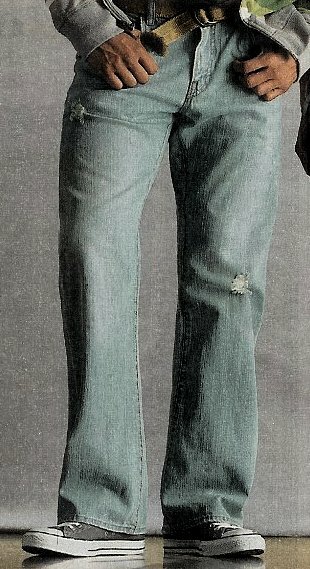 21 Ads for Levis and Jeans Ad for Levi's 527 jeans with chocolate brown chucks. Note the reflected image of the chucks on the floor. 22 Ads for Levis and Jeans Ad for Levi's 501 jeans with black high tops. 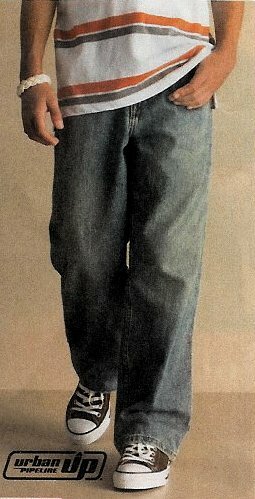 23 Ads for Levis and Jeans Ad for jeans with charcoal chucks. 25 Ads for Levis and Jeans Ad for Levi's with charcoal grey chucks. 26 Ads for Levis and Jeans Ad for Dickies work pants with black chucks. 27 Ads for Levis and Jeans Ad for black jeans with distressed black chucks. 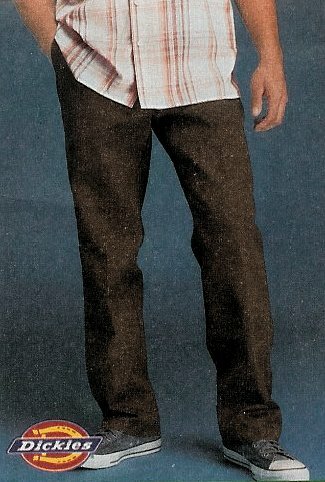 28 Ads for Levis and Jeans Ad for carpenter pants with black chucks. 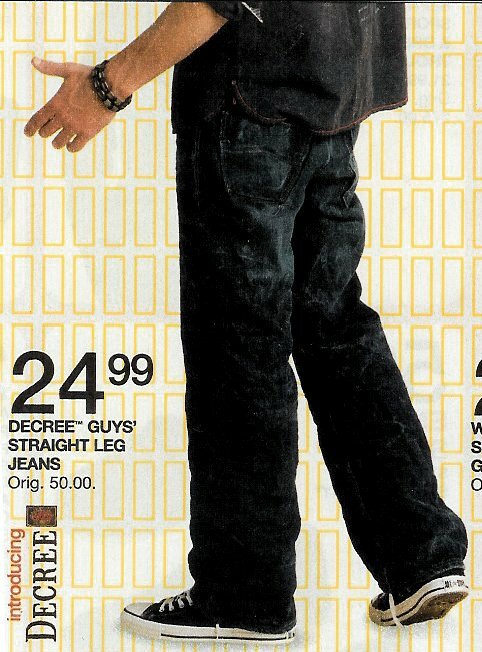 29 Ads for Levis and Jeans Ad for distressed jeans with black chucks. 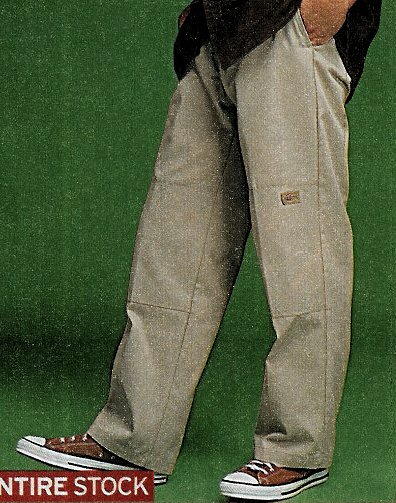 30 Ads for Levis and Jeans Ad for Dickies pants with charcoal grey low cut chucks. 31 Ads for Levis and Jeans Ad for Levis with black chucks. 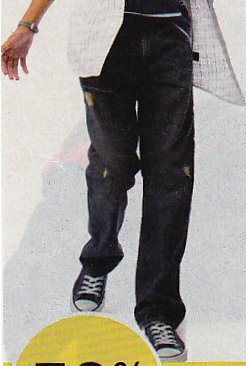 32 Ads for Levis and Jeans Ad for Urban Pipeline jeans with black chucks. 33 Ads for Levis and Jeans Ad for black jeans with black chucks. 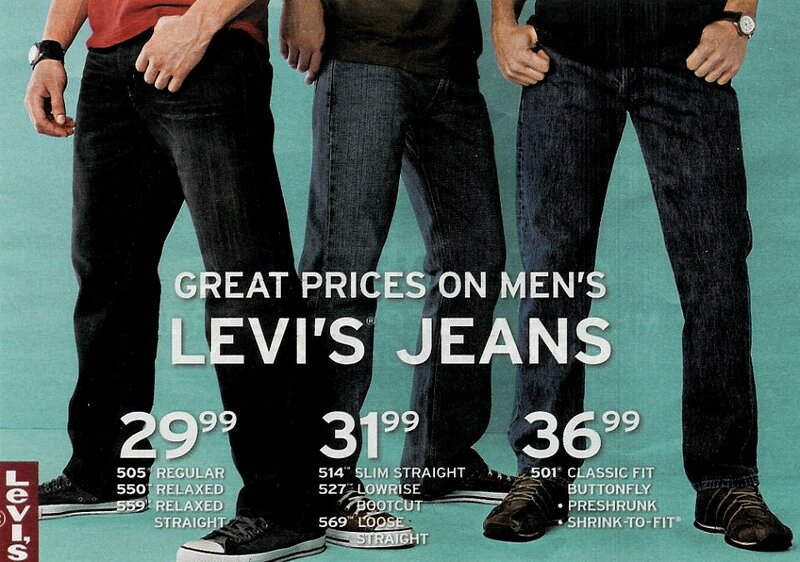 34 Ads for Levis and Jeans Ad for Levi's Sienna jeans with blue chucks. 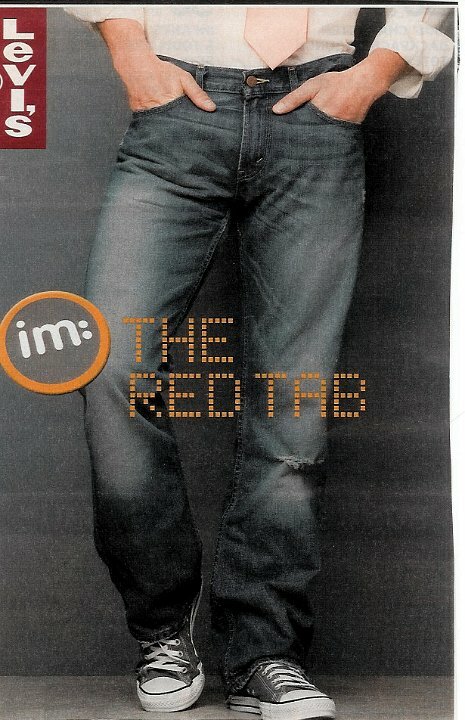 35 Ads for Levis and Jeans Ad for Sideout jeans with brown chucks (note the reflection). 36 Ads for Levis and Jeans Ad for Lee blue jeans with black chucks. 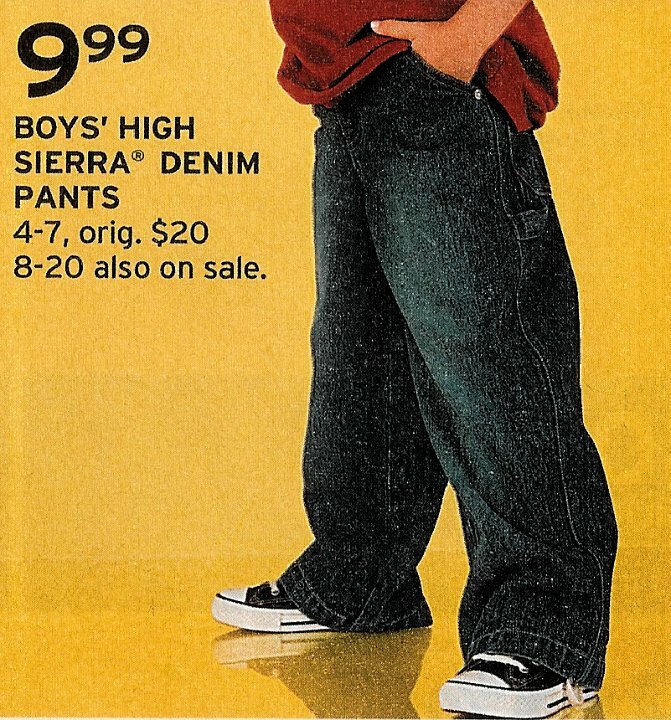 37 Ads for Levis and Jeans Ad for boys High Sierra denim pants with black chucks. 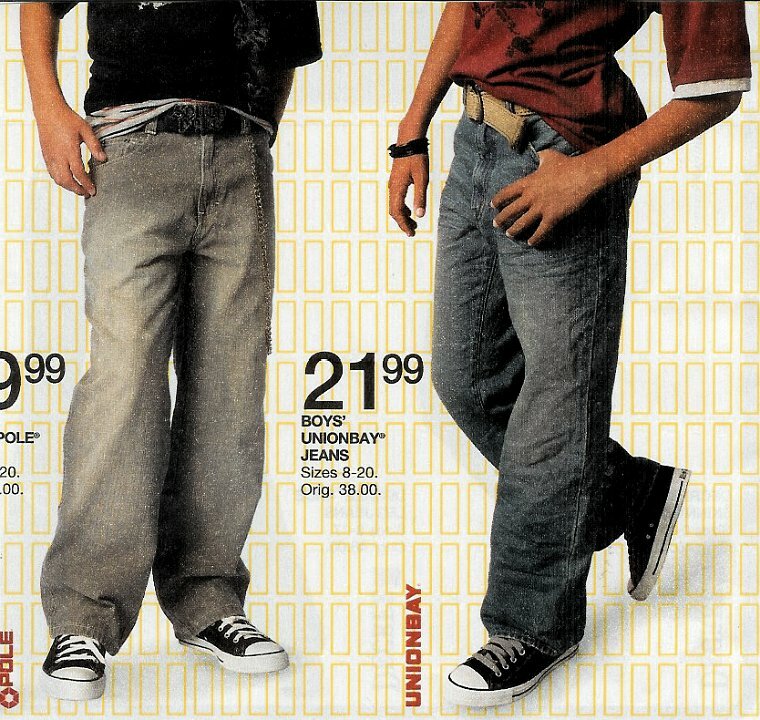 38 Ads for Levis and Jeans Ad for boy's denim pants with distressed black chuck high tops. 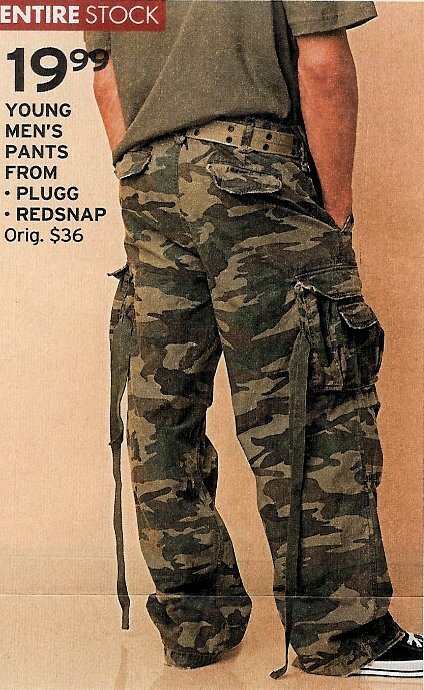 39 Ads for Levis and Jeans Ad for young men's camouflage pants with black chucks. 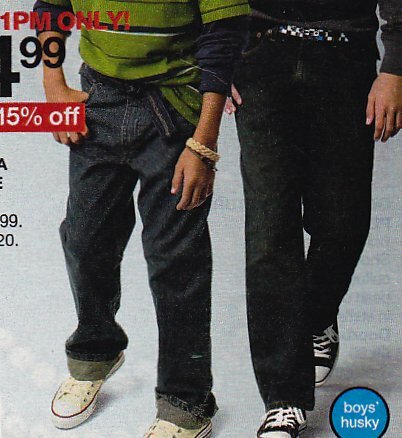 40 Ads for Levis and Jeans Ad for black Polo denim jeans with distressed black chucks. 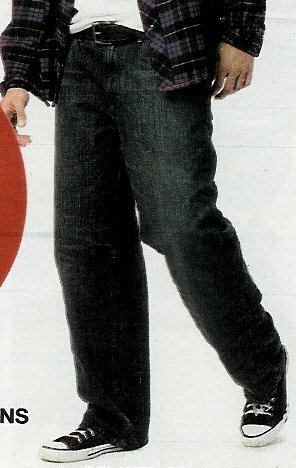 41 Ads for Levis and Jeans Ad for girl's jeans with red and plaid foldover chucks. 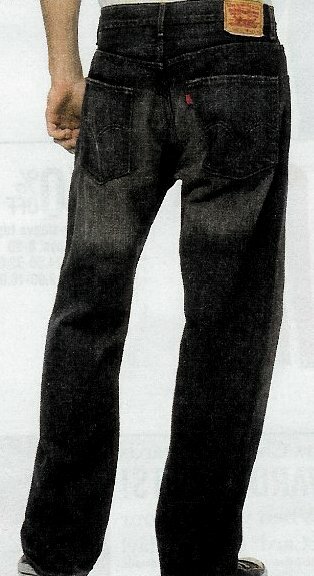 42 Ads for Levis and Jeans Rear view of black denim jeans with chucks. 43 Ads for Levis and Jeans Ad for jeans with optical white chucks. 44 Ads for Levis and Jeans Ad for Levi's 550 jeans with black high top chucks. 45 Ads for Levis and Jeans Ad for Levi's 505 jeans with black high top chucks. 46 Ads for Levis and Jeans Ad for jeans with white and black laser chucks and distressed black chucks. 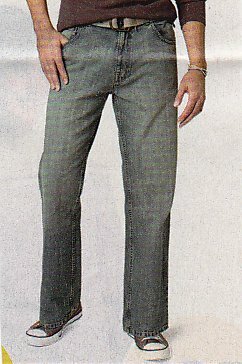 47 Ads for Levis and Jeans Ad for Levis slim cut jeans with black chucks. 48 Ads for Levis and Jeans Ad for Levis 501 jeans with laser white high tops. 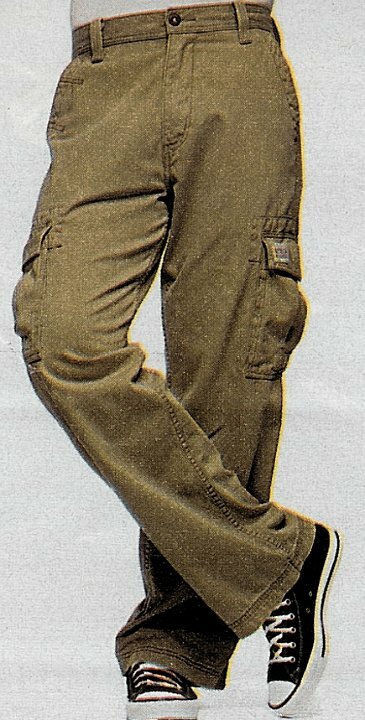 49 Ads for Levis and Jeans Ad for canmouflage cargo pants with brown chucks. 50 Ads for Levis and Jeans Ad for jeans with black chucks. 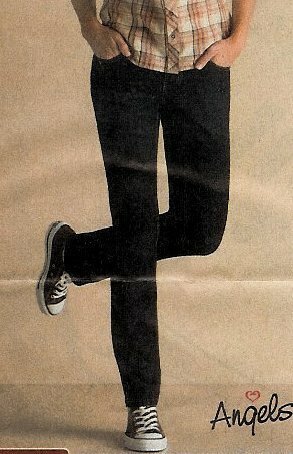 51 Ads for Levis and Jeans Ad for Levis with black stencil high tops, core black, and chocolate brown chucks. 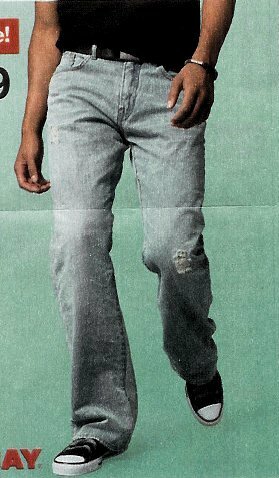 52 Ads for Levis and Jeans Levis ad with black and charcoal grey chucks. 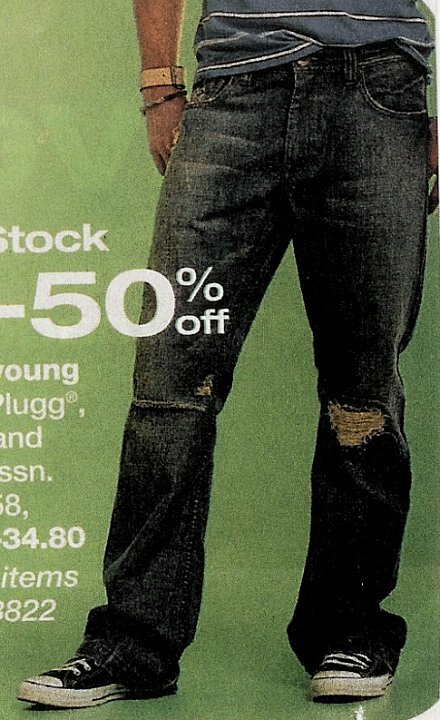 53 Ads for Levis and Jeans Ad for distressed jeans with black chucks. 54 Ads for Levis and Jeans Ad for Polo Assn. 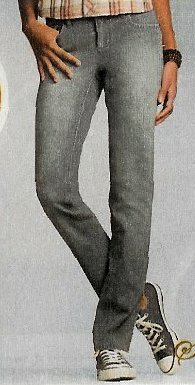 Jeans with grey chucks. 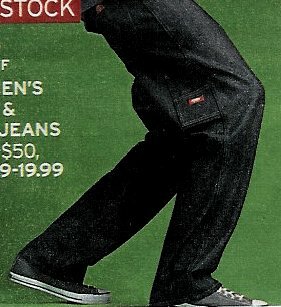 55 Ads for Levis and Jeans Ad for Dickies pants with black chucks. 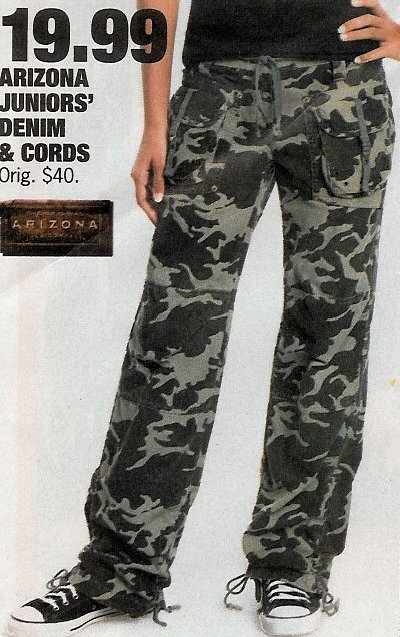 56 Ads for Levis and Jeans Ad for Arizona camouflage jeans with black chucks. 57 Ads for Levis and Jeans Ad for jeans with black chucks. 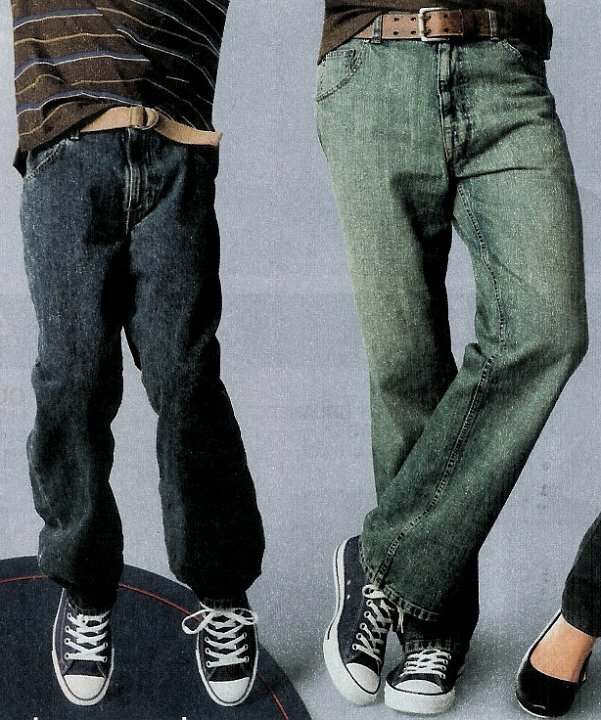 58 Ads for Levis and Jeans Ad for Levis with black high top chucks. 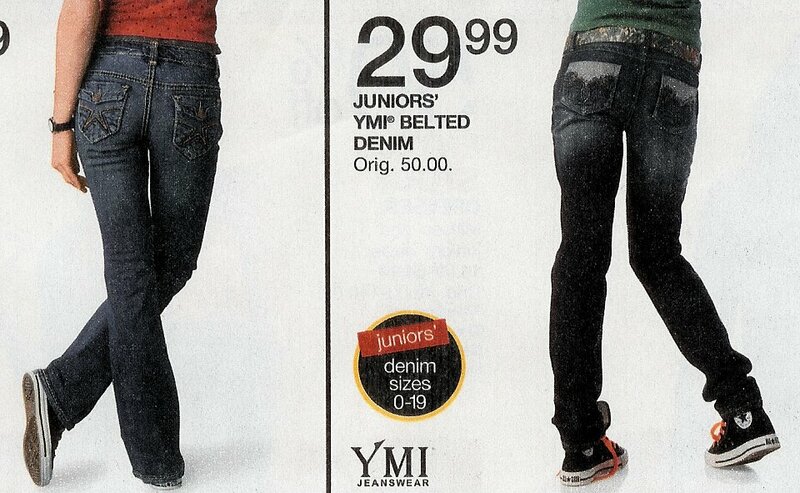 59 Ads for Levis and Jeans Ad for juniors' fashion jeans with black chucks. 60 Ads for Levis and Jeans Ad for High Sierra jeans with black chucks. 61 Ads for Levis and Jeans Ad for Levis with black and distressed black chucks. 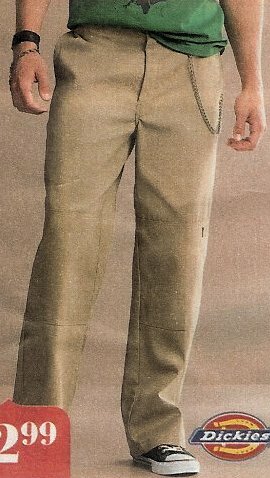 62 Ads for Levis and Jeans Ad for khaki slacks with brown chucks. 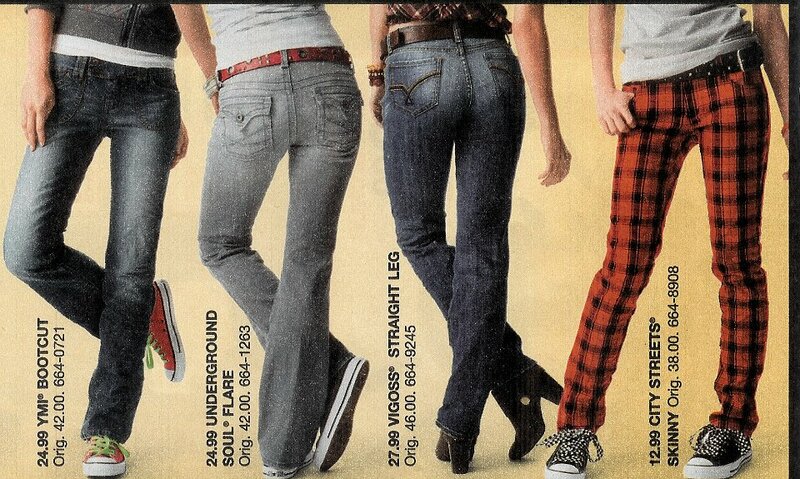 63 Ads for Levis and Jeans Ad for jeans with pattern chucks. 64 Ads for Levis and Jeans Ad for black jeans with distressed black chucks. 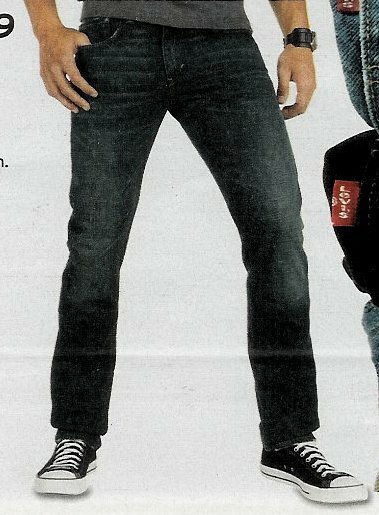 65 Ads for Levis and Jeans Ad for Sideout jeans with black chucks. 66 Ads for Levis and Jeans Ad for jeans with black chucks. 67 Ads for Levis and Jeans Ad for black jeans with black chucks. 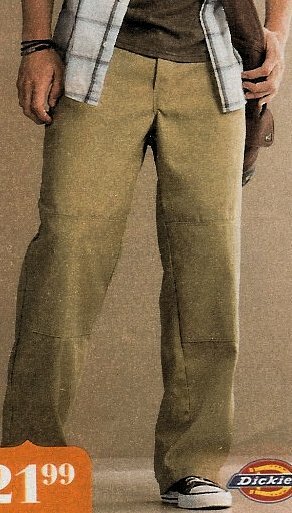 68 Ads for Levis and Jeans Ad for Dickies with white low cut chucks. 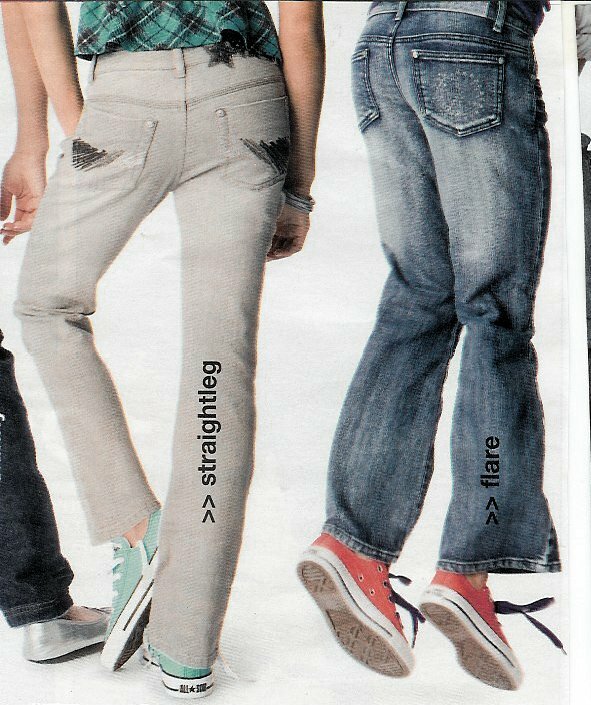 69 Ads for Levis and Jeans Ad for jeans with black chucks. 70 Ads for Levis and Jeans Ad for jeans with charcoal grey chucks. 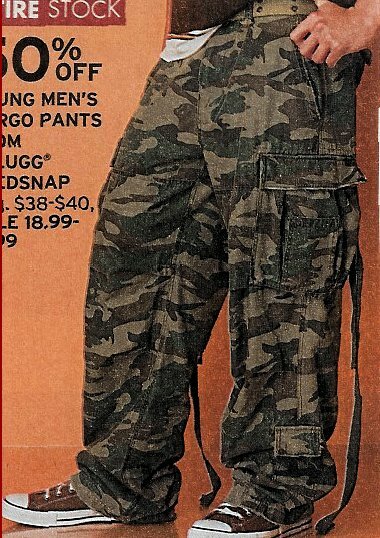 71 Ads for Levis and Jeans Ad for mens camouflage jeans with brown chucks. 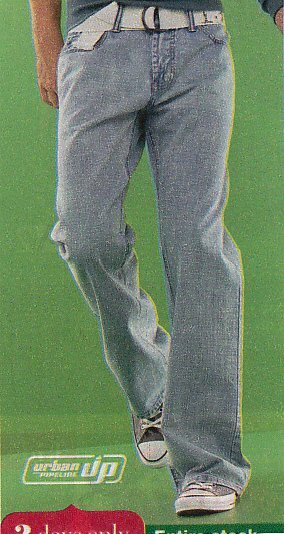 72 Ads for Levis and Jeans Ad for bellbottoms with black chucks. 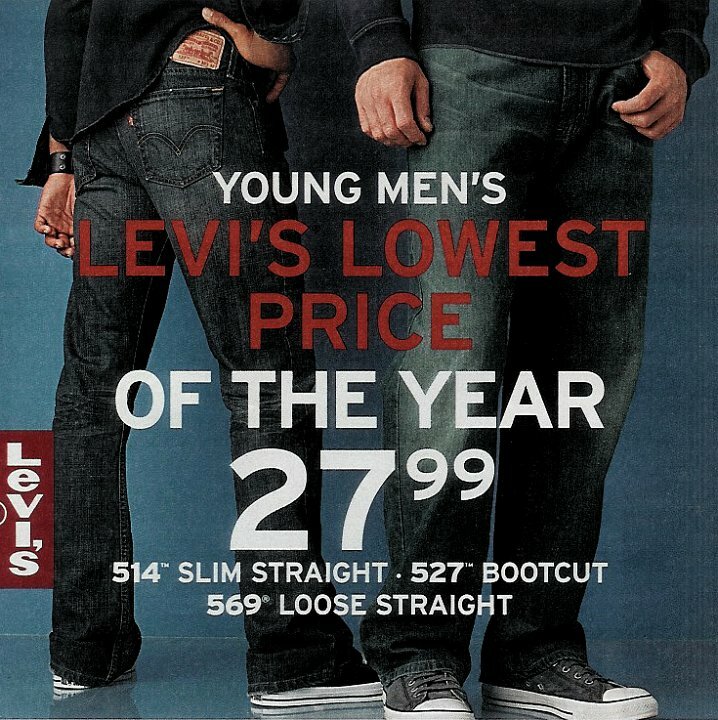 73 Ads for Levis and Jeans Ad for Levis with black low cut chucks. 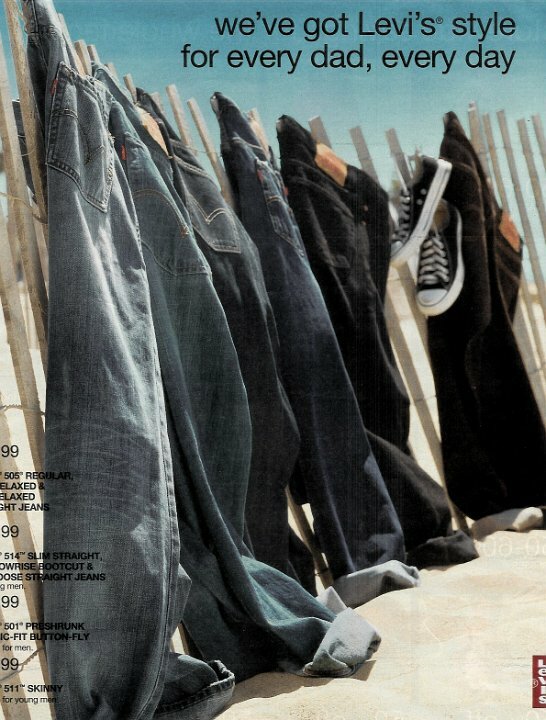 74 Ads for Levis and Jeans Ad for Levis with black monocrhome, black classic, and brown chucks. 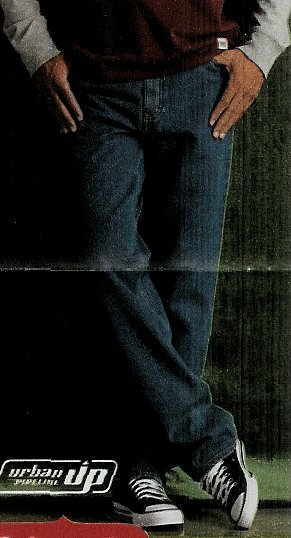 75 Ads for Levis and Jeans Levi ad with black chucks. 76 Ads for Levis and Jeans Ad for Levis 569 jeans with distressed black chucks. 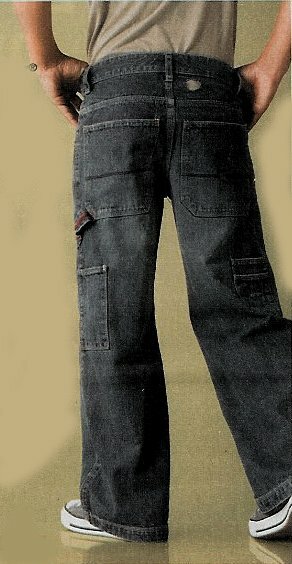 77 Ads for Levis and Jeans Ad for Southpole 5 pocket jeans with black chucks. 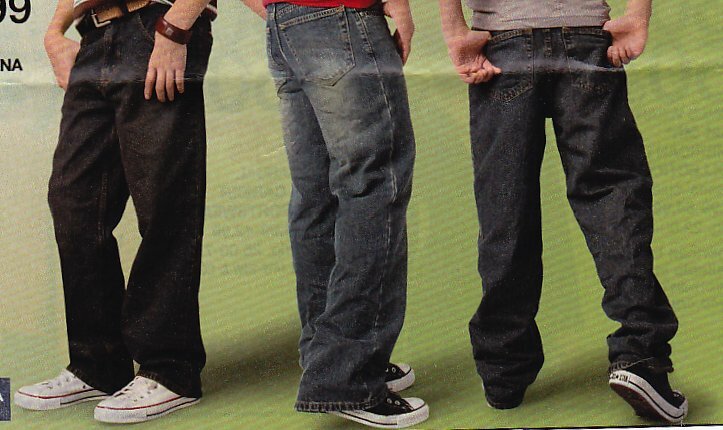 78 Ads for Levis and Jeans Ad for cargo jeans with black chucks. 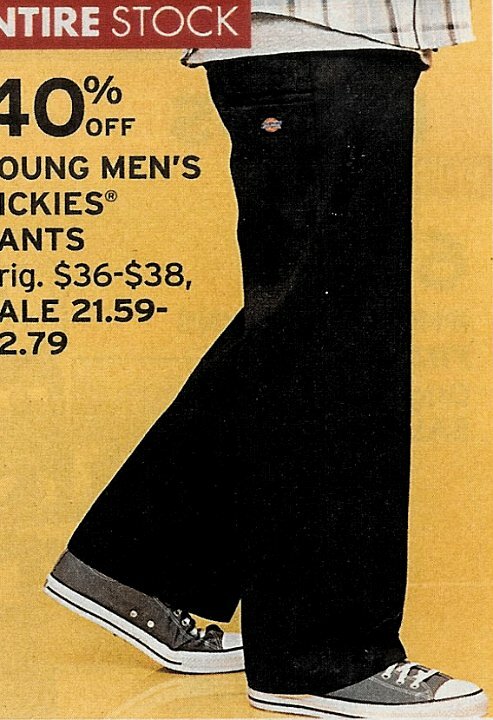 79 Ads for Levis and Jeans Ad for Dickies with distressed black chucks. 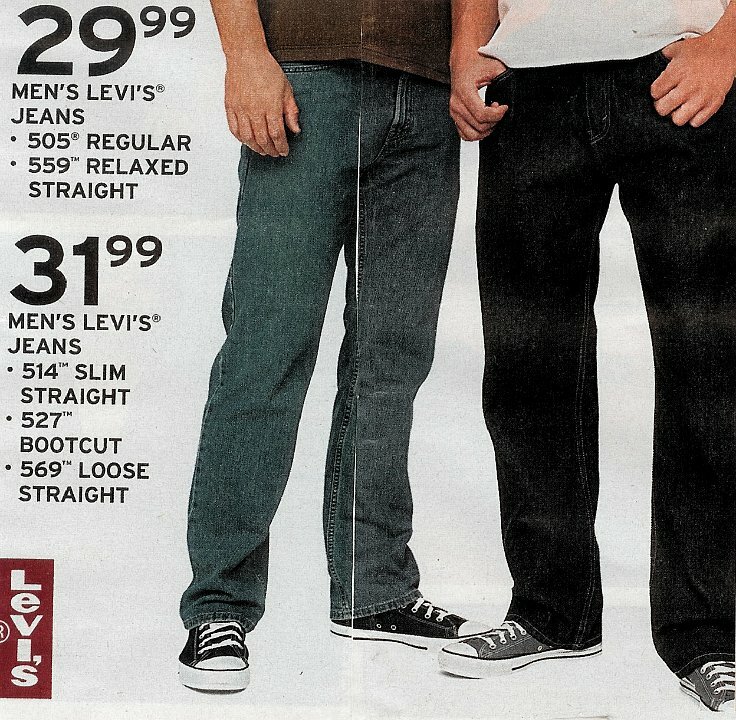 80 Ads for Levis and Jeans Ad for Levis with black, brown, and distressed black chucks. 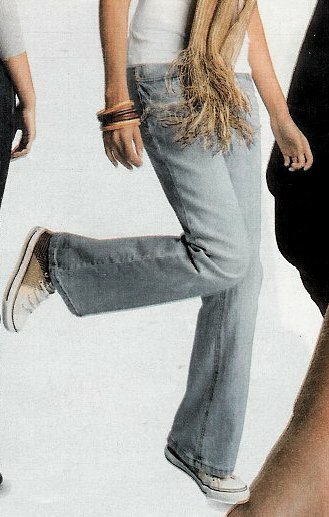 81 Ads for Levis and Jeans Ad for denim shorts and pants with black slipon and black chucks. 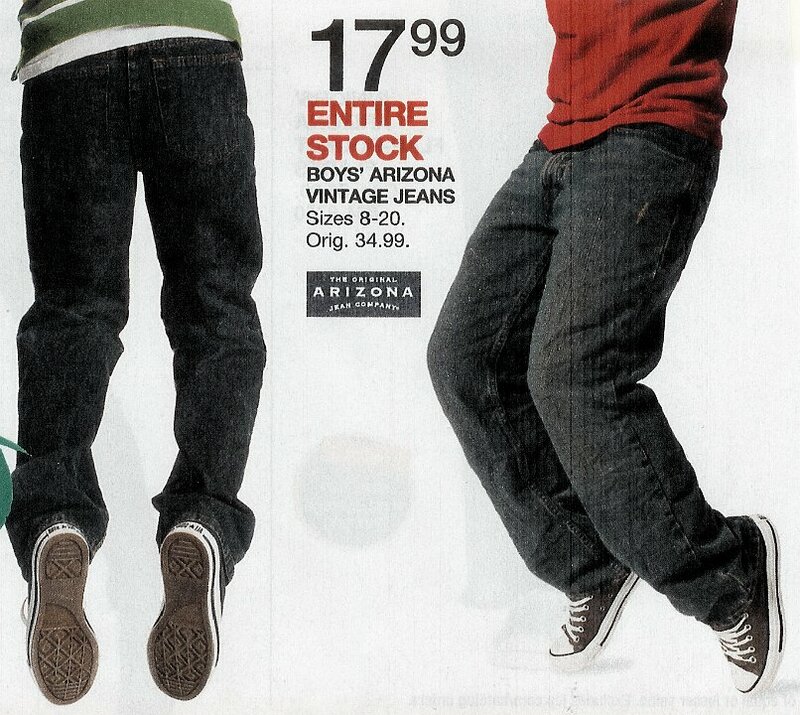 82 Ads for Levis and Jeans Ad for Arizona jeans with black chucks. 83 Ads for Levis and Jeans Ad for blue jeans with black chucks. 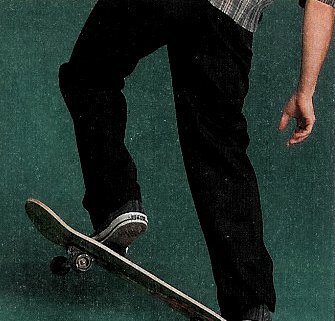 84 Ads for Levis and Jeans Ad for black jeans with skateboard and black chucks. 86 Ads for Levis and Jeans Ad for blue jeans with black chucks. 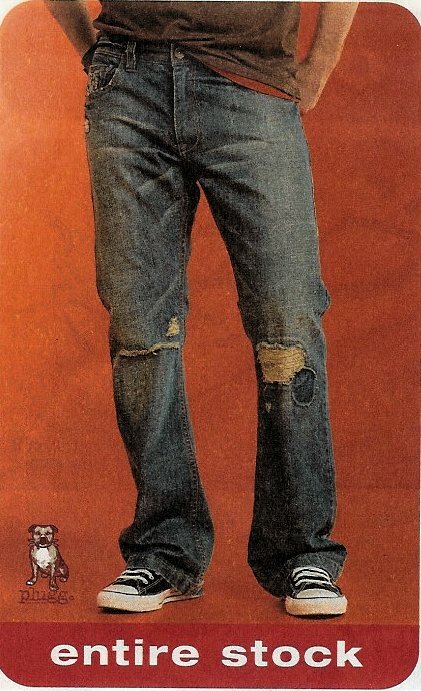 87 Ads for Levis and Jeans Ad for jeans with chocolate brown chucks. 88 Ads for Levis and Jeans Ad for Levis with black chucks. 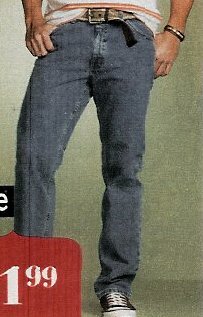 89 Ads for Levis and Jeans Ad for jeans with black low cut chucks. 90 Ads for Levis and Jeans Ad for jeans with black chucks. 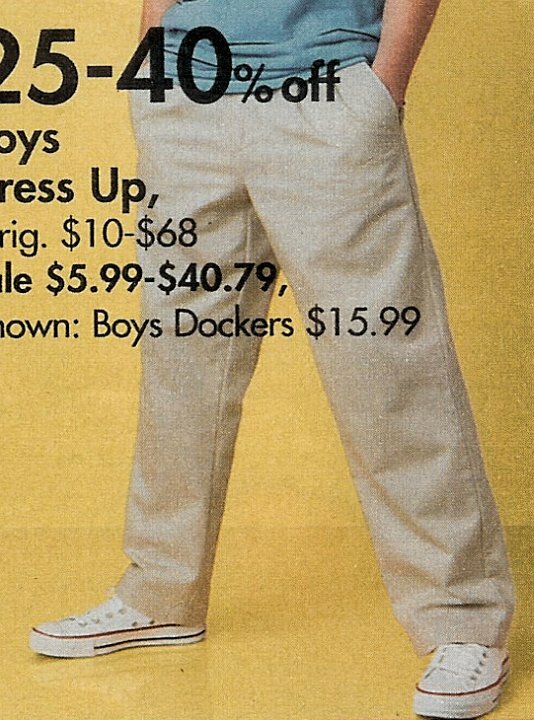 91 Ads for Levis and Jeans Ad for red pedal pushers with black low cut chucks. 92 Ads for Levis and Jeans Ad for jeans with black chucks. 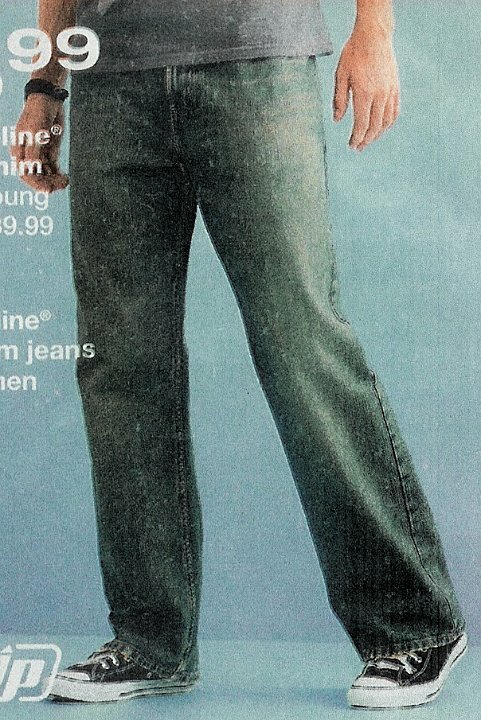 93 Ads for Levis and Jeans Ad for jeans with navy blue chucks. 94 Ads for Levis and Jeans Ad for jeans with black chucks. 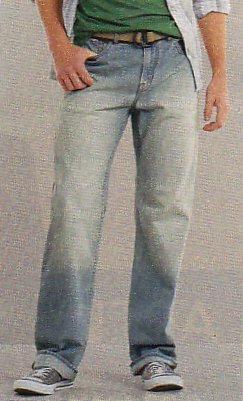 95 Ads for Levis and Jeans Ad for Lee dark blue jeans with white chucks. 96 Ads for Levis and Jeans Ad for jeans with black chucks. 97 Ads for Levis and Jeans Ad for jeans with black chucks. 98 Ads for Levis and Jeans Ad for Levis with black and distressed black chucks. 99 Ads for Levis and Jeans Ad for jeans with black chucks. 100 Ads for Levis and Jeans Ad for black levis with black chucks. 101 Ads for Levis and Jeans Ad for black jeans with black chucks. 102 Ads for Levis and Jeans Ad for grey jeans with black chucks. 103 Ads for Levis and Jeans Ad for black jeans with black chucks. 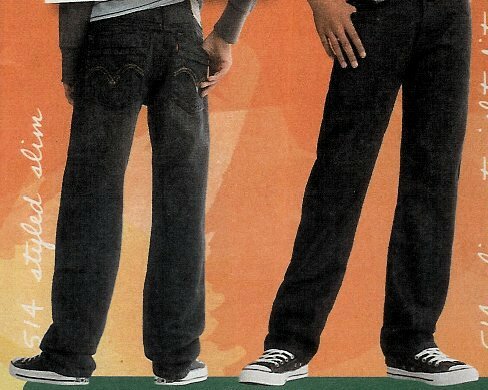 104 Ads for Levis and Jeans Ad for juniors black jeans with black chucks. 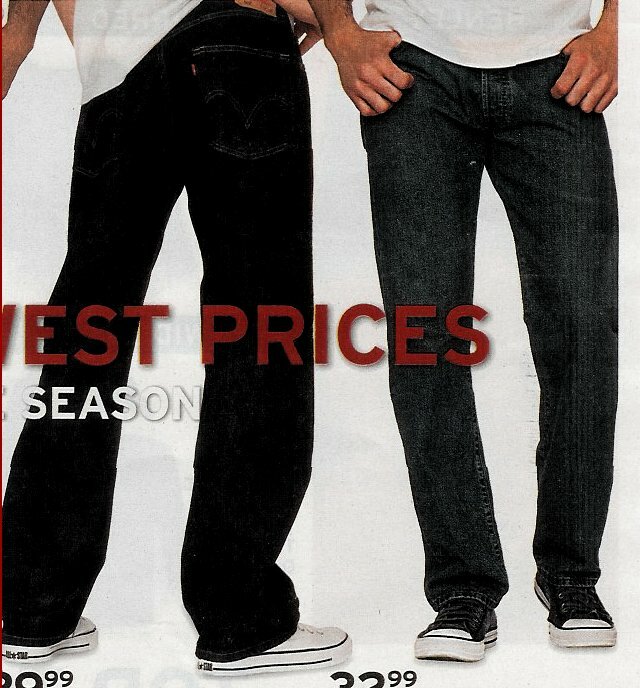 105 Ads for Levis and Jeans Ad for black 511 jeans with low cut black chucks. 106 Ads for Levis and Jeans Ad for blue jeans with black chucks. 107 Ads for Levis and Jeans Ad for black jeans with black chucks. 108 Ads for Levis and Jeans Ad for blue jeans with black chucks. 109 Ads for Levis and Jeans Ad for black jeans with black monochrome chucks. 110 Ads for Levis and Jeans Ad for dark blue jeans with black chucks. 111 Ads for Levis and Jeans Ad for dark blue jeans with black chucks. 112 Ads for Levis and Jeans Ad for blue jeans with brown low cut chucks. 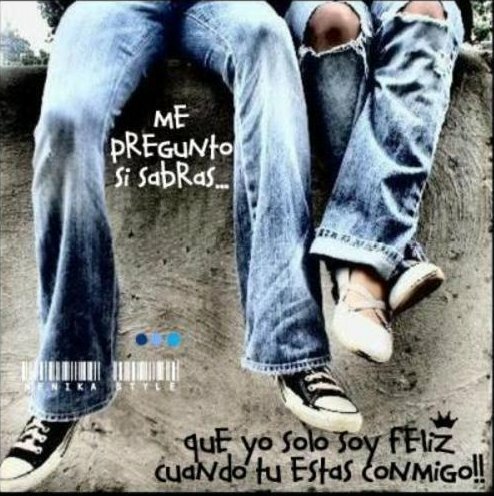 113 Ads for Levis and Jeans Black chucks with balck jeans. 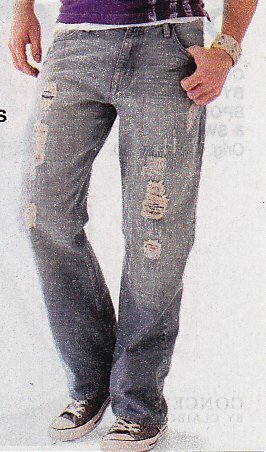 114 Ads for Levis and Jeans Black and grey pattern chucks with Levis. 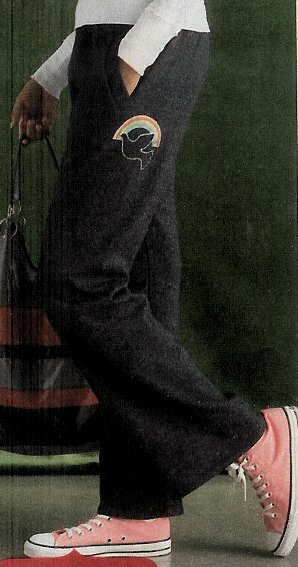 115 Ads for Levis and Jeans Black chucks with black Levis. 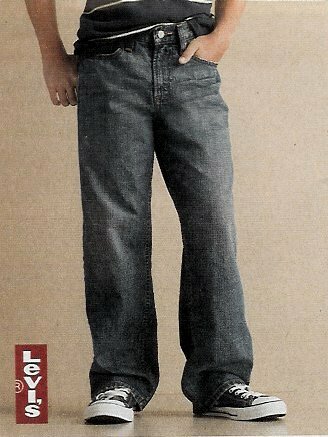 116 Ads for Levis and Jeans Stonewashed jeans with black chucks. 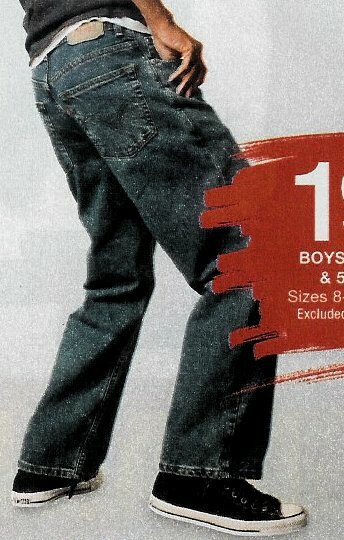 117 Ads for Levis and Jeans Black chucks with jeans. 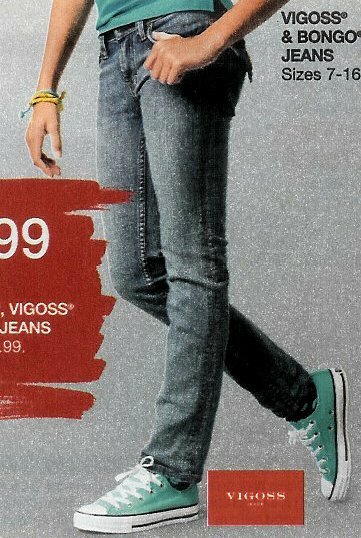 118 Ads for Levis and Jeans Black chucks with skinny jeans. 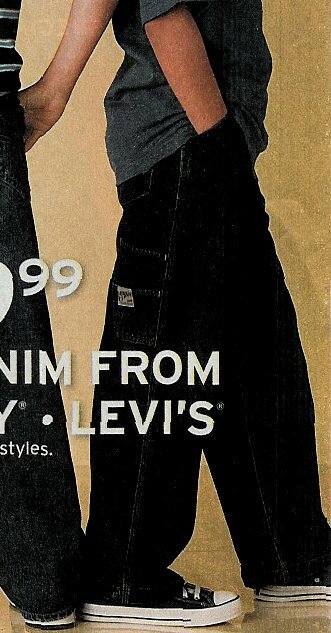 119 Ads for Levis and Jeans Black chucks with black Levis. 120 Ads for Levis and Jeans Artistic shot of low cut black chucks with various pairs of Levis. 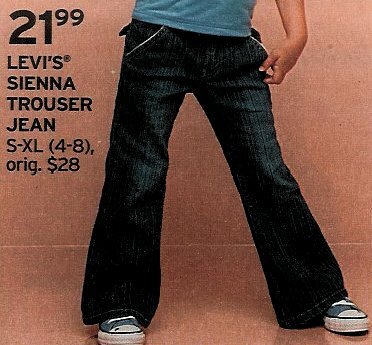 121 Ads for Levis and Jeans Jeans with tan chucks. 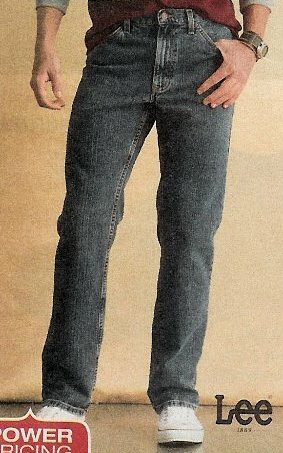 122 Ads for Levis and Jeans Designer jeans with black low cut chucks. 123 Ads for Levis and Jeans Ad for Levis with black chucks. 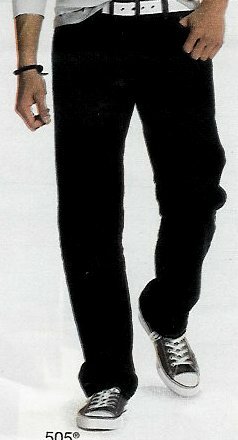 124 Ads for Levis and Jeans Black chucks with black Levis. 125 Ads for Levis and Jeans Ad for black Levis with black chucks. 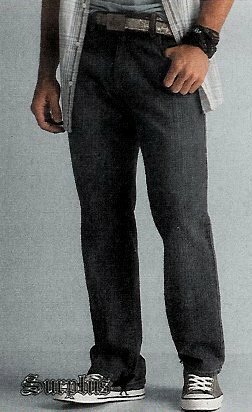 126 Ads for Levis and Jeans Black chucks with Union Bay stonewashed jeans. 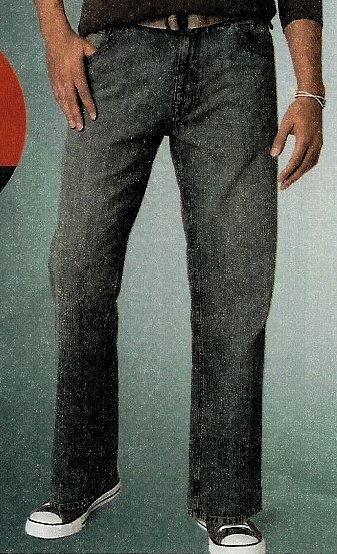 127 Ads for Levis and Jeans Black chucks with black jeans. 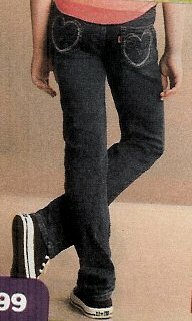 128 Ads for Levis and Jeans Dark blue jeans with black chucks. 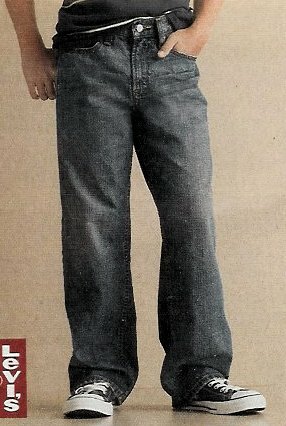 129 Ads for Levis and Jeans Slim cut Levis with black chucks. 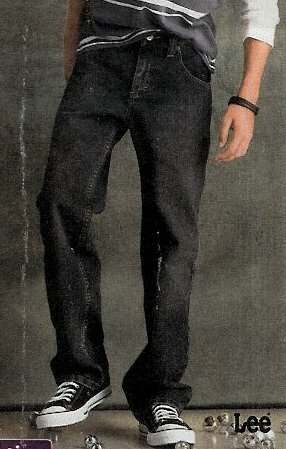 130 Ads for Levis and Jeans Black Lee jeans with black chucks. 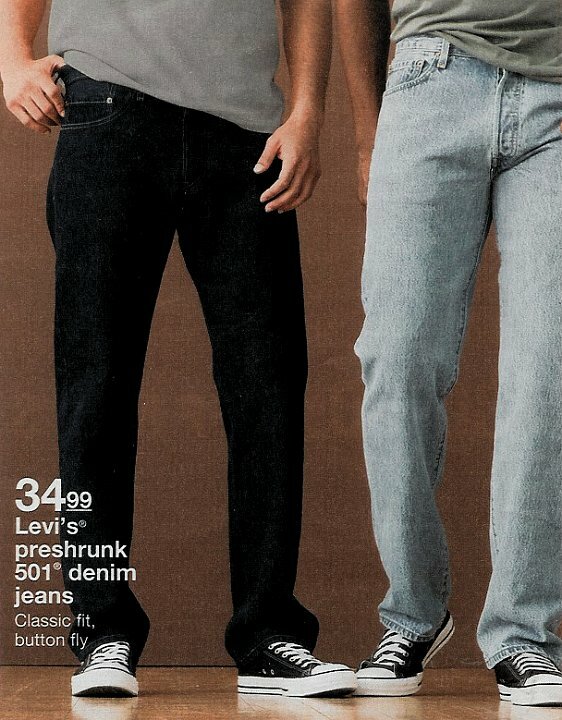 131 Ads for Levis and Jeans Levis with black chucks. 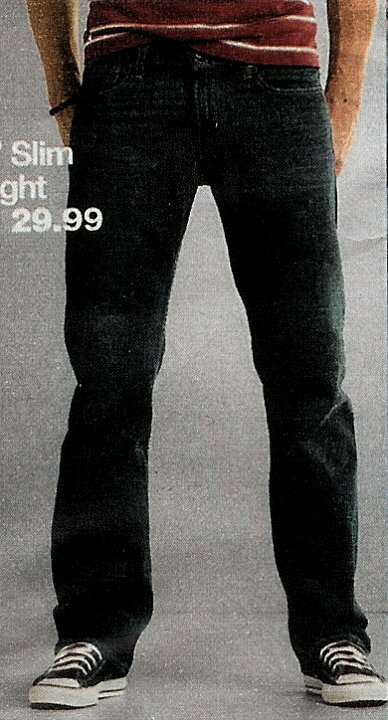 132 Ads for Levis and Jeans Black jeans with black chucks. 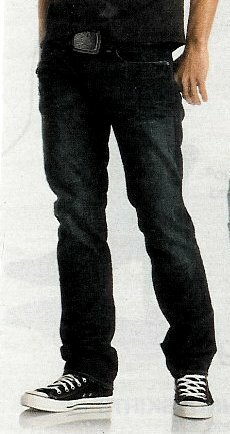 133 Ads for Levis and Jeans Black jeans with black chucks. 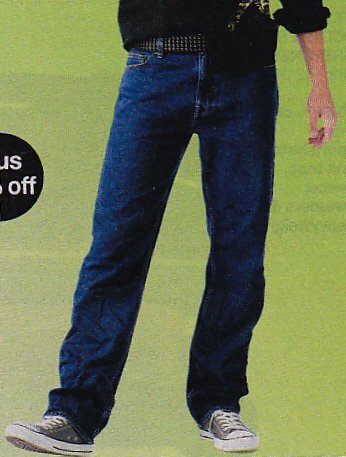 134 Ads for Levis and Jeans Faded jeans with black low cuts. 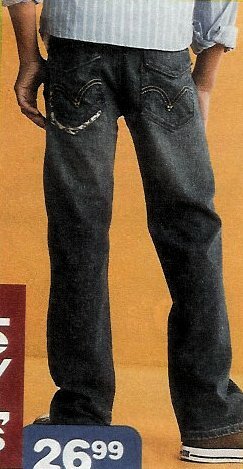 135 Ads for Levis and Jeans Black jeans with black chucks. 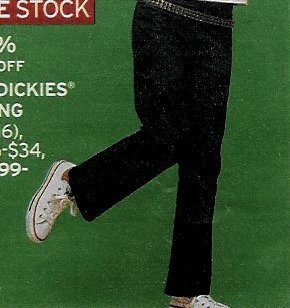 136 Ads for Levis and Jeans Black chucks with black chucks. 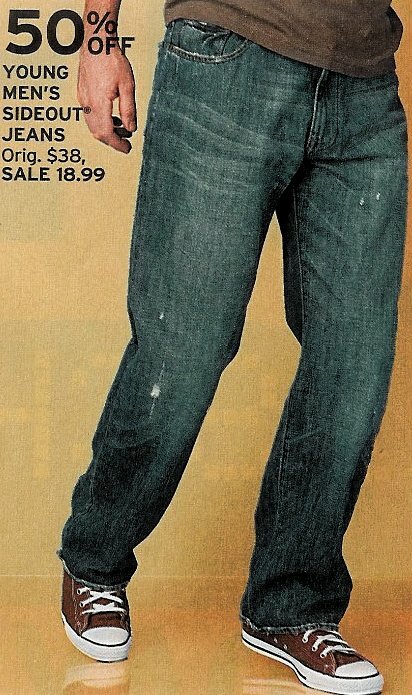 137 Ads for Levis and Jeans Blue jeans with black chucks. 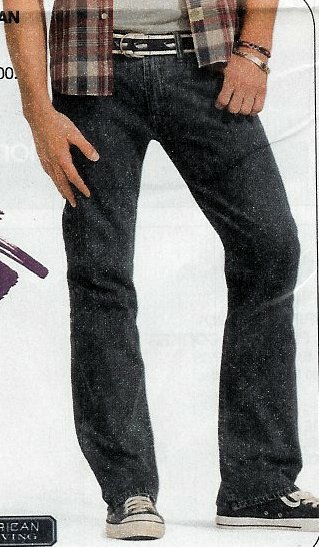 138 Ads for Levis and Jeans Black 514 Levis slim jeans with black chucks. 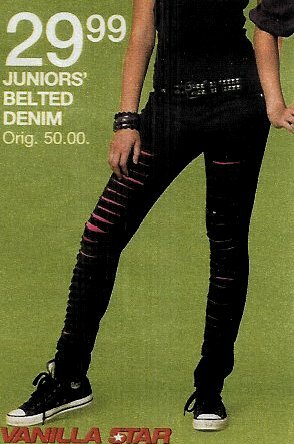 139 Ads for Levis and Jeans Black jeans for juniors with black chucks. 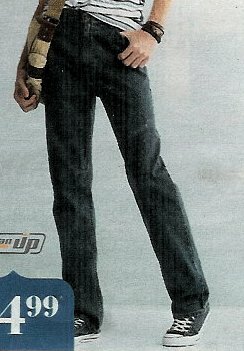 140 Ads for Levis and Jeans Black Union Bay jeans with black chucks. 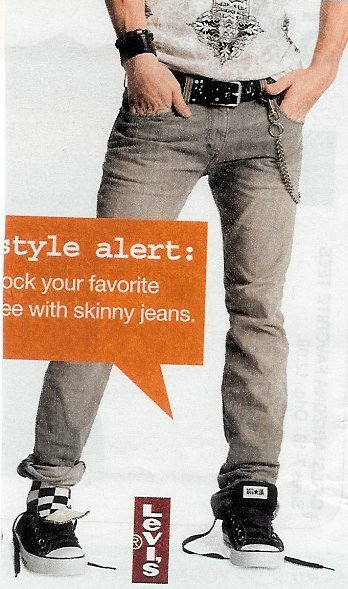 141 Ads for Levis and Jeans Blue Urban Pipeline jeans with black chucks. 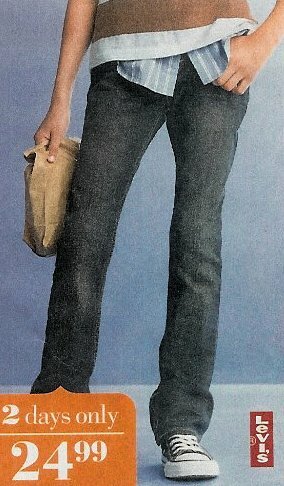 142 Ads for Levis and Jeans Blue jeans with black chucks. 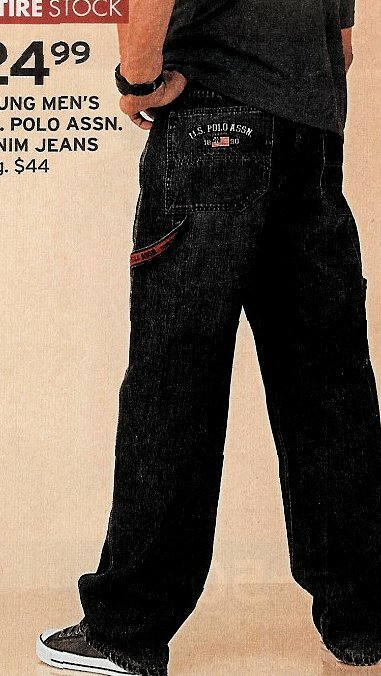 143 Ads for Levis and Jeans Black Levis with black chucks. 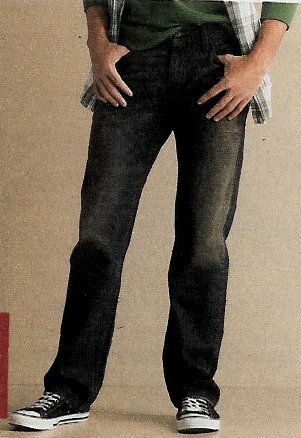 144 Ads for Levis and Jeans Black flared jeans with black low cut chucks. 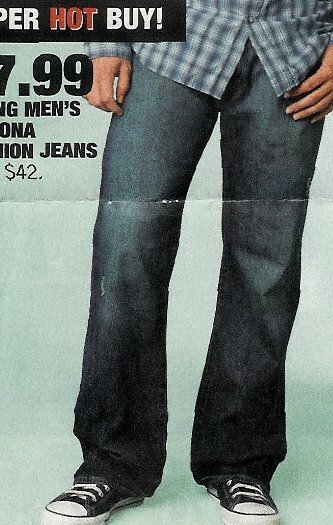 145 Ads for Levis and Jeans Pink pedal pushers with navy low cut chucks. 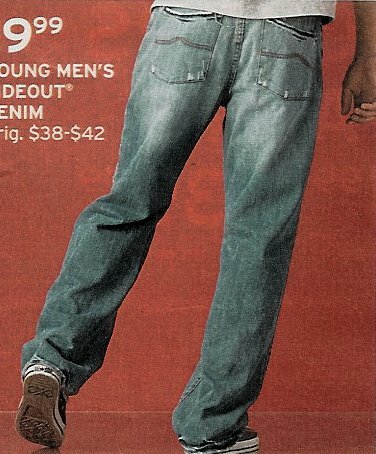 146 Ads for Levis and Jeans Worn blue jeans with charcoal grey chucks. 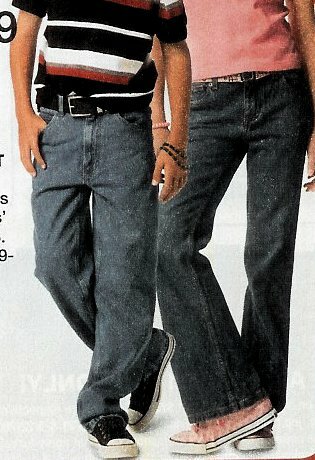 147 Ads for Levis and Jeans Black jeans for juniors with black chucks. 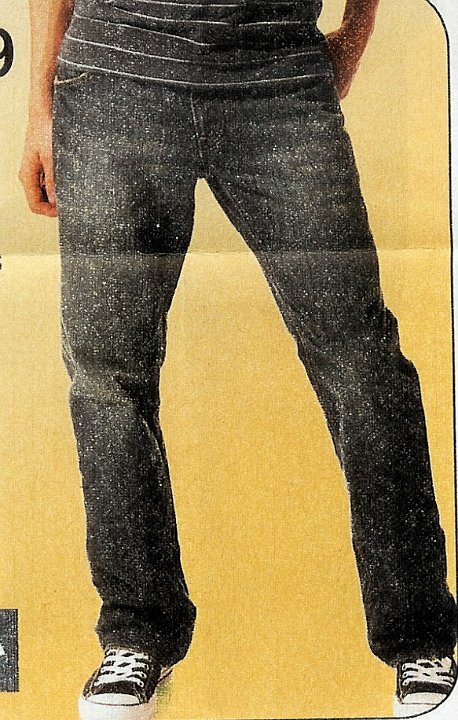 148 Ads for Levis and Jeans Blue Levis with black chucks. 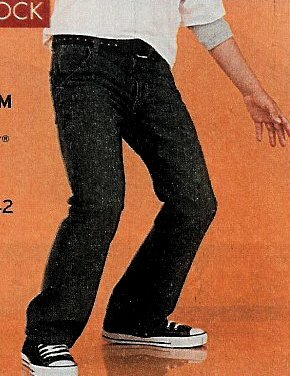 149 Ads for Levis and Jeans Dark blue jeans with black chucks. 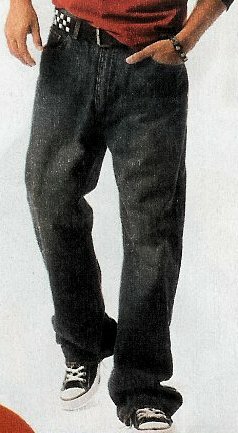 150 Ads for Levis and Jeans Black Levis with black chucks. 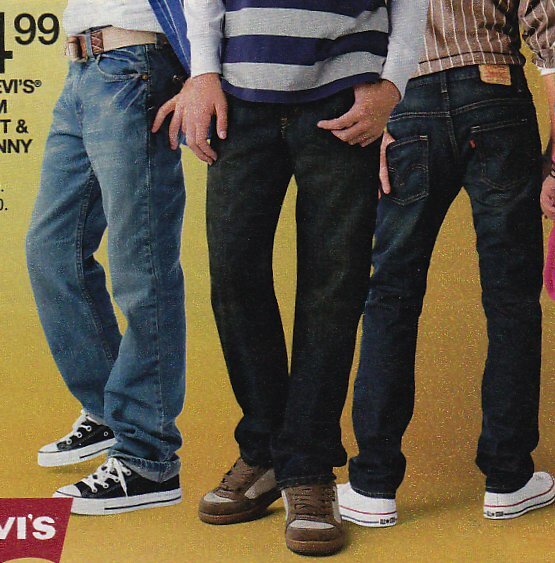 151 Ads for Levis and Jeans White chucks with black jeans and faded blue jeans with black chucks. 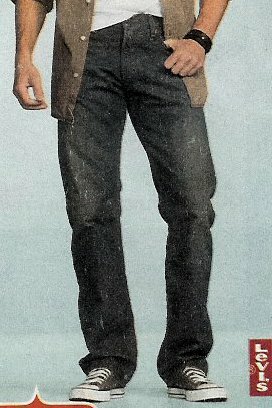 152 Ads for Levis and Jeans Blue jeans with black chucks. 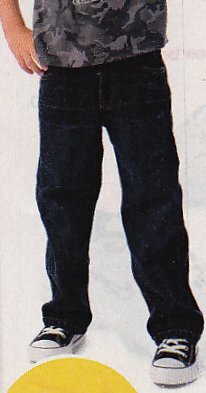 153 Ads for Levis and Jeans Blue Levis with black chucks. 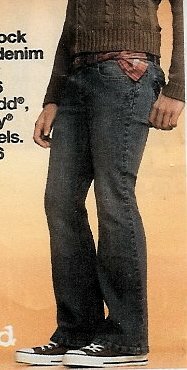 155 Ads for Levis and Jeans Black designer jeans with pink high top chucks. 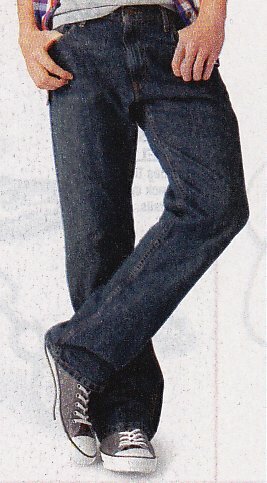 156 Ads for Levis and Jeans Blue Union Bay jeans with black chucks. 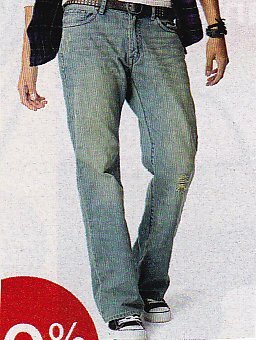 157 Ads for Levis and Jeans Blue designer jeans with black chucks. 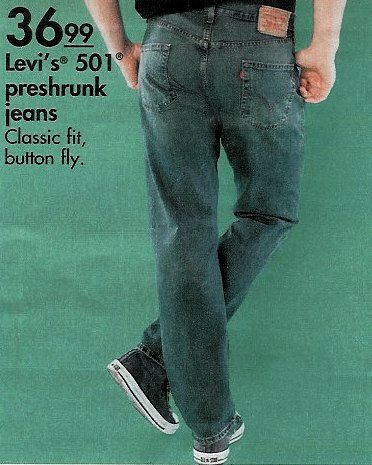 158 Ads for Levis and Jeans Blue jeans with black chucks. 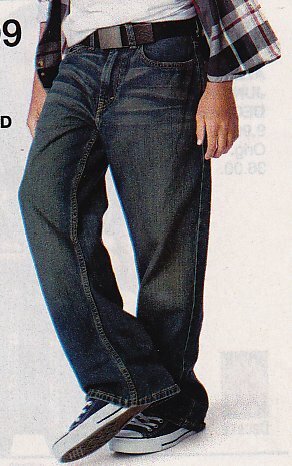 159 Ads for Levis and Jeans Dark blue jeans with black chucks. 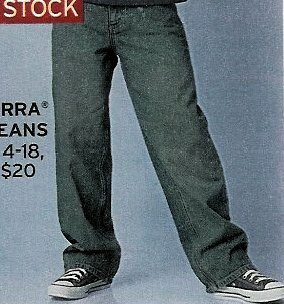 160 Ads for Levis and Jeans Dark blue jeans with black chucks. 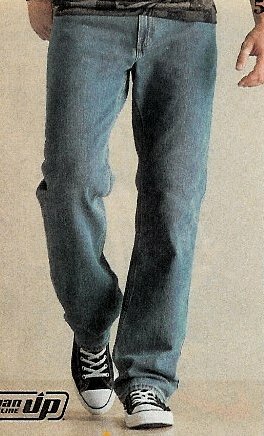 161 Ads for Levis and Jeans Blue jeans with black chucks. 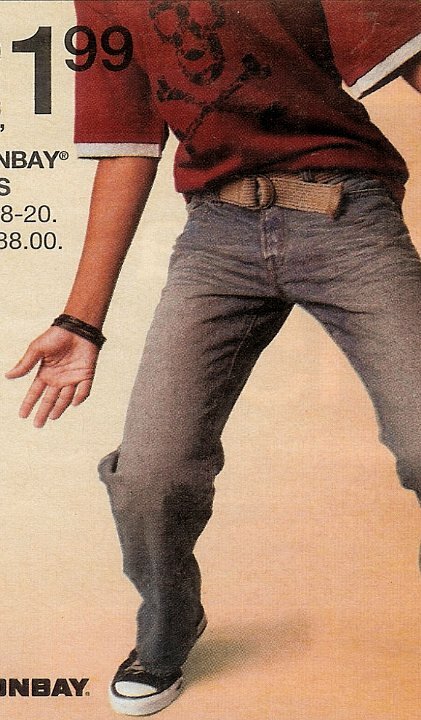 162 Ads for Levis and Jeans Dark blue jeans with black high top chucks. 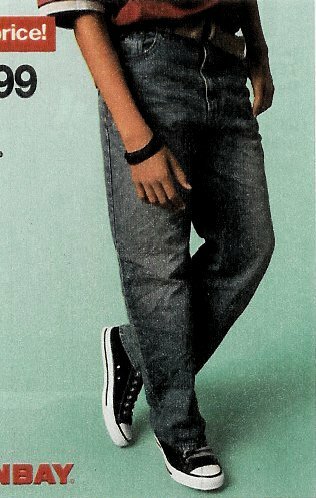 163 Ads for Levis and Jeans Dark Urban Pipeline blue jeans with black chucks. 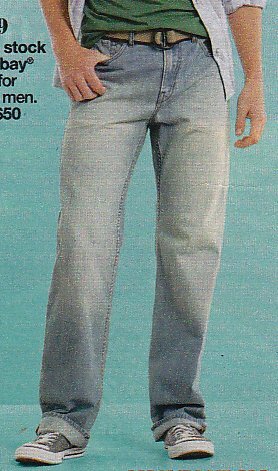 164 Ads for Levis and Jeans Blue Lee jeans with optical white chucks. 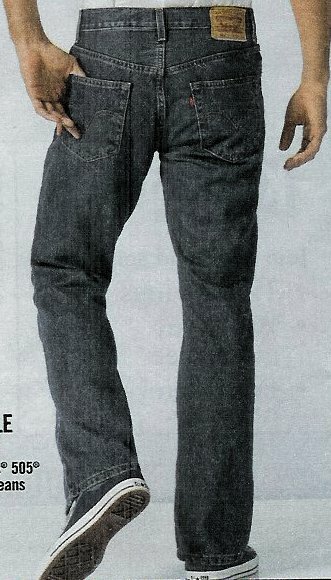 165 Ads for Levis and Jeans Blue Urban Pipeline jeans with black chucks. 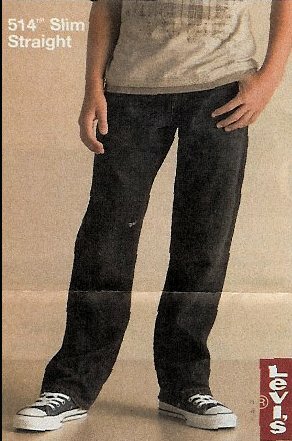 166 Ads for Levis and Jeans Black jeans with black chucks. 167 Ads for Levis and Jeans Ad for faded blue jeans with black chucks. 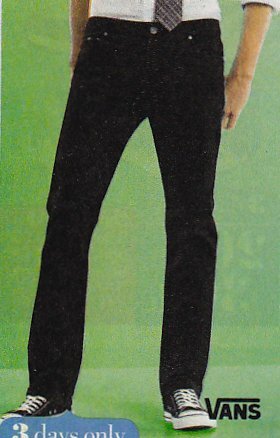 168 Ads for Levis and Jeans Ad for black jeans with black low cut chucks. Note the unusual lacing. 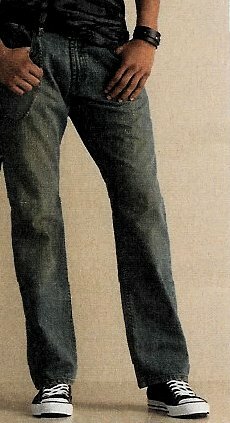 169 Ads for Levis and Jeans Ad for navy blue Urban Pipeline jeans with black chucks. 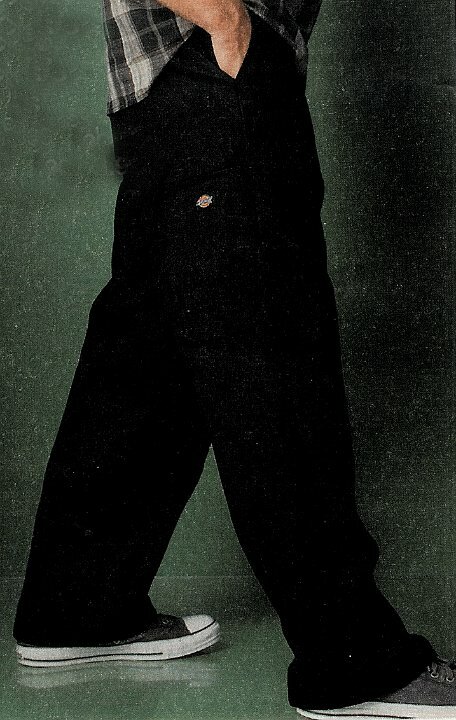 170 Ads for Levis and Jeans Ad for black jeans with black chucks. 171 Ads for Levis and Jeans Ad for blue jeans with black chucks. 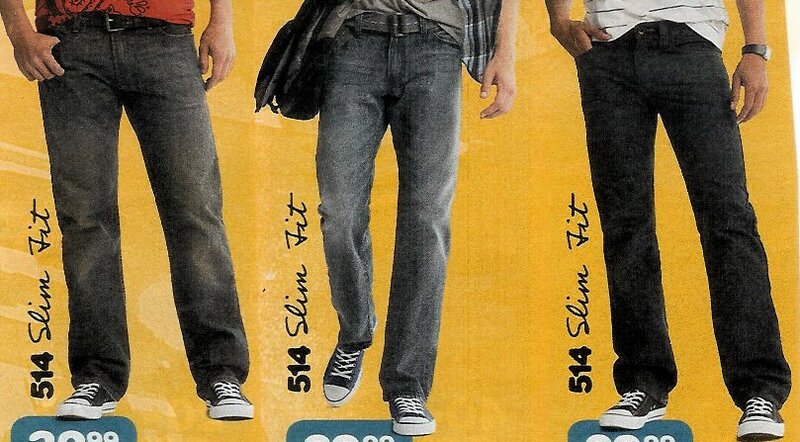 172 Ads for Levis and Jeans Ad for Levis 514 Slim with faded blue chucks. 173 Ads for Levis and Jeans Ad for Levis with navy blue chucks. 174 Ads for Levis and Jeans Ad for Levis with dark blue chucks. 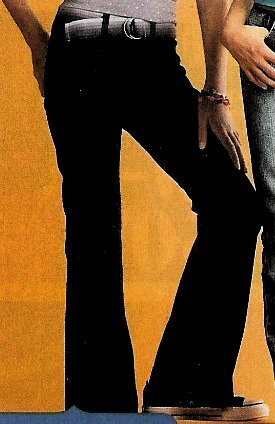 175 Ads for Levis and Jeans Ad for white jeans with black chucks. 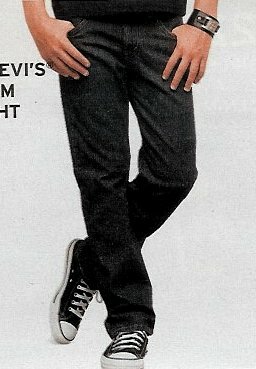 176 Ads for Levis and Jeans Ad for grey Levis with black chucks. 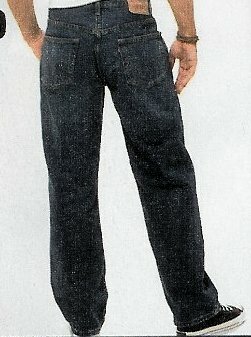 177 Ads for Levis and Jeans Ad for navy blue, blue, and black 514 slim fit jeans, with black chucks. 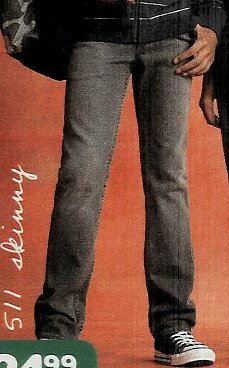 178 Ads for Levis and Jeans Ad for 514 Slim Fit black jeans with black chucks. 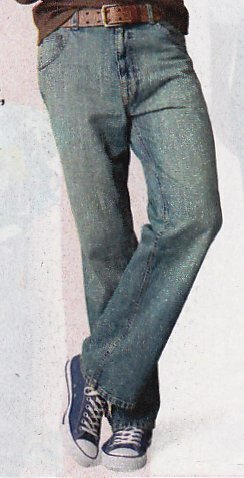 179 Ads for Levis and Jeans Ad for blue Union Bay jeans with black chucks. 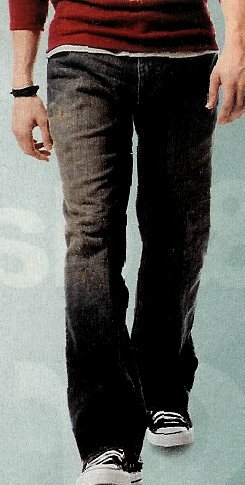 180 Ads for Levis and Jeans Ad for blue jeans with navy blue chucks. 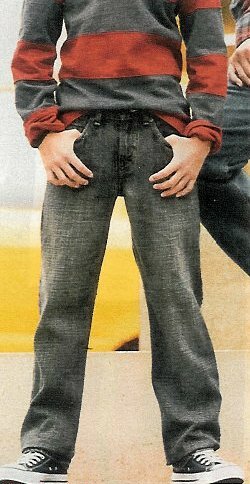 181 Ads for Levis and Jeans Ad for blue jeans with red chucks. 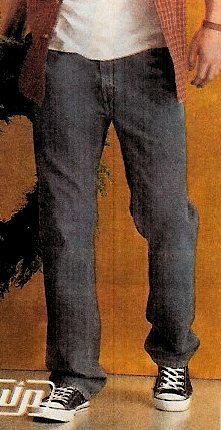 182 Ads for Levis and Jeans Ad for navy blue and light blue jeans with navy blue chucks. 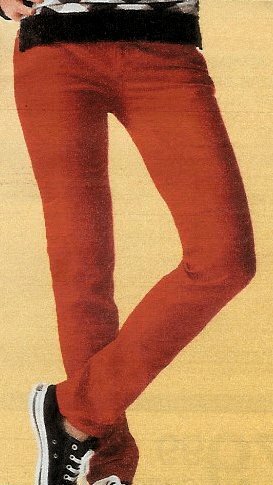 183 Ads for Levis and Jeans Ad for red jeans with back chucks. 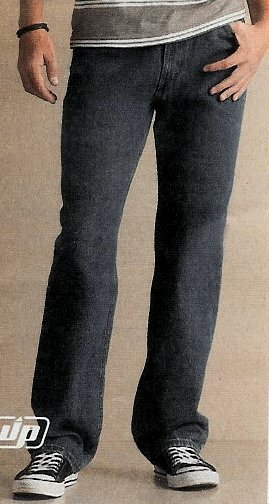 184 Ads for Levis and Jeans Ad for blue, navy blue, and red jeans, with black and red chucks. 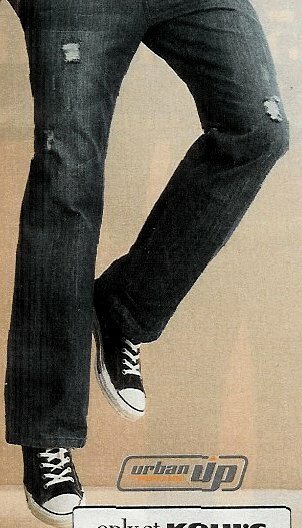 185 Ads for Levis and Jeans Ad for black Lee jeans with dark blue chucks. 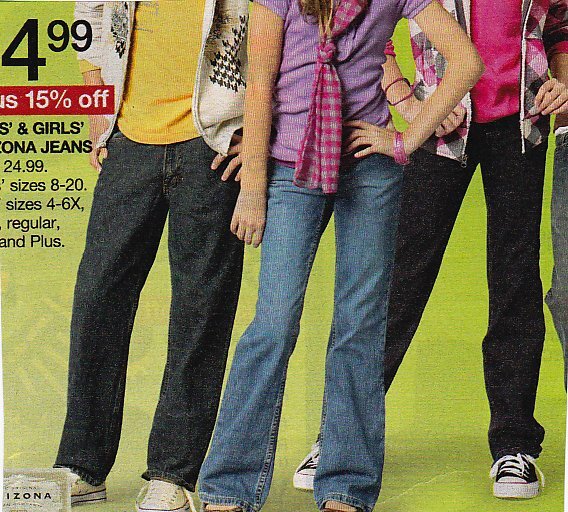 186 Ads for Levis and Jeans Ad for blue and black jeans with black chucks. 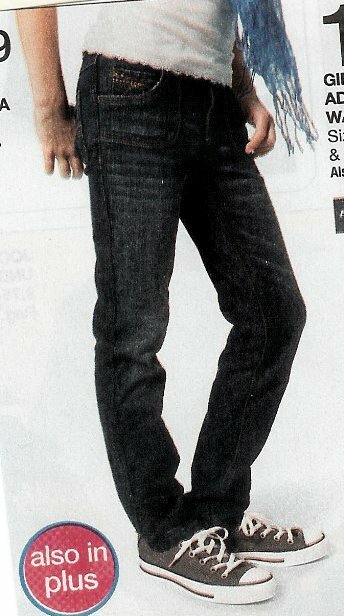 187 Ads for Levis and Jeans Ad for 511 blue Levis with black chucks. 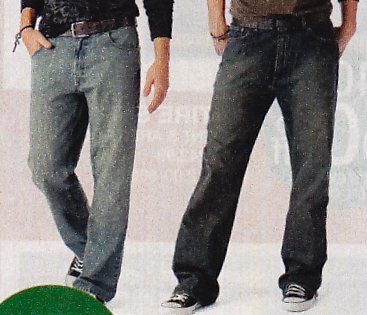 188 Ads for Levis and Jeans Ad for skinny jeans and black chucks with green laces. 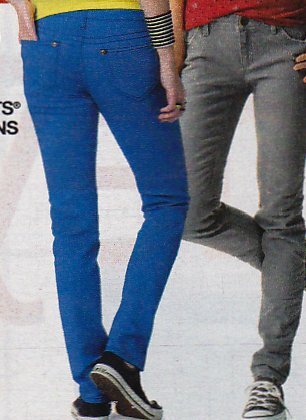 189 Ads for Levis and Jeans Ad for white and blue jeans with teal and red chucks. 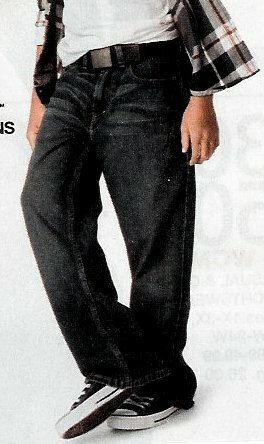 190 Ads for Levis and Jeans Ad for navy blue jeans with black chucks. 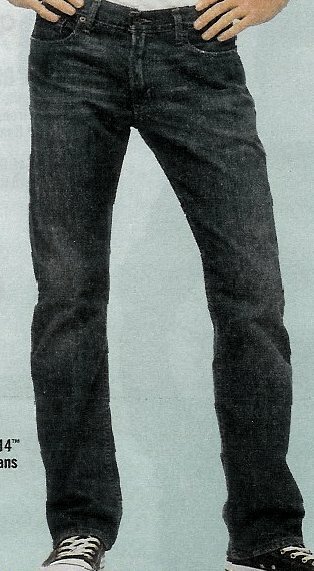 191 Ads for Levis and Jeans Ad for blue and white jeans with black chucks. 192 Ads for Levis and Jeans Ad for black jeans with black chucks. 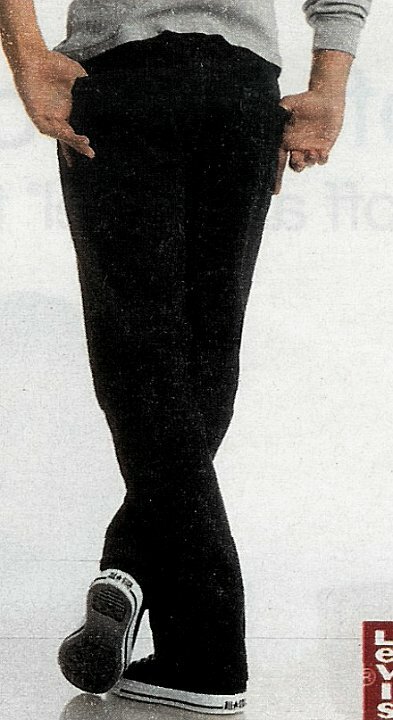 193 Ads for Levis and Jeans Ad for black jeans with black chucks. 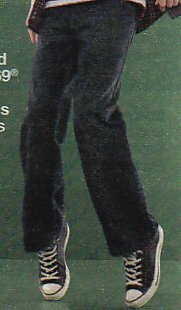 194 Ads for Levis and Jeans Ad for black jeans with charcoal low cut chucks. 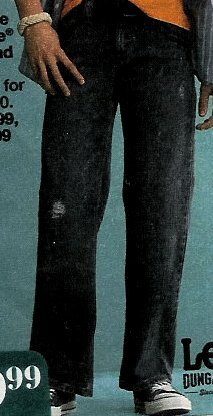 195 Ads for Levis and Jeans Ad for navy blue jeans with black chucks. 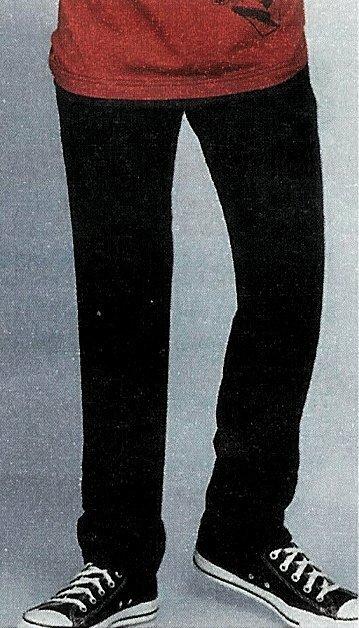 196 Ads for Levis and Jeans Ad for black and navy blue jeans with black chucks. 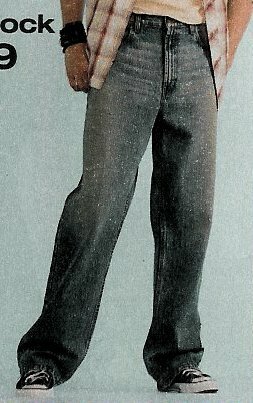 197 Ads for Levis and Jeans Ad for blue jeans with natural chucks. 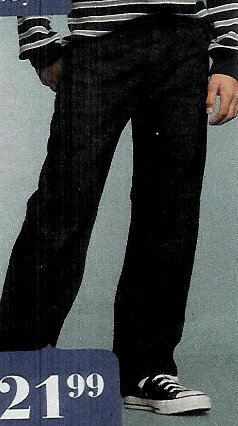 198 Ads for Levis and Jeans Ad for navy blue jeans with black chucks. 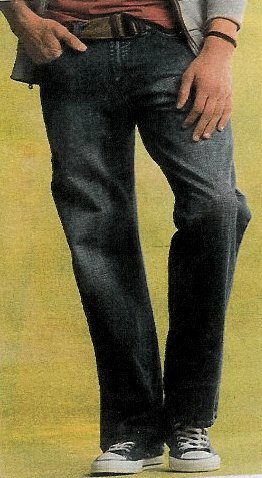 199 Ads for Levis and Jeans Ad for navy blue jeans. 200 Ads for Levis and Jeans Ad for navy blue Levis and black chucks. 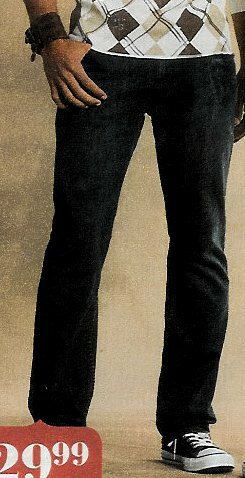 201 Ads for Levis and Jeans Ad for navy blue Lee jeans with dark brown chucks. 202 Ads for Levis and Jeans Ad for blue jeans with black chucks. 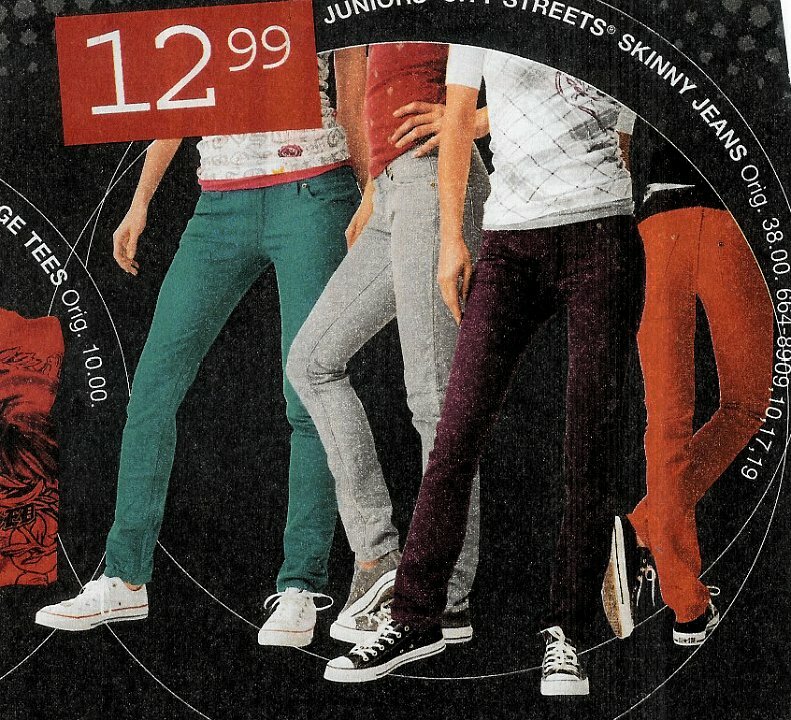 203 Ads for Levis and Jeans Ad for teal, grey, and dark red jeans with white and black chucks. 204 Ads for Levis and Jeans Ad for blue jeans with black chucks. 205 Ads for Levis and Jeans Ad for faded blue jeans with red chucks. 206 Ads for Levis and Jeans Ad for faded blue jeans. 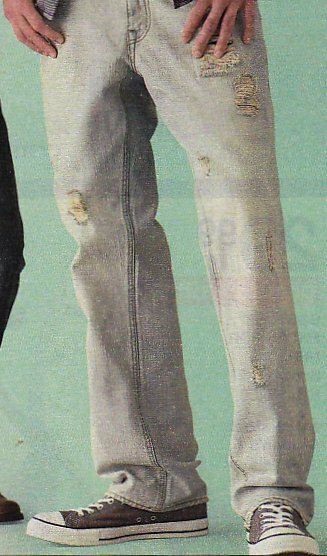 207 Ads for Levis and Jeans Ad for Vigoss blue jeans with teal chucks. 208 Ads for Levis and Jeans Ad for black jeans with black chucks. 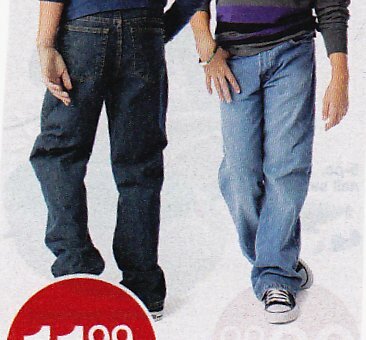 209 Ads for Levis and Jeans Ad for navy blue jeans with black chucks. 210 Ads for Levis and Jeans Ad for navy blue jeans with black chucks. 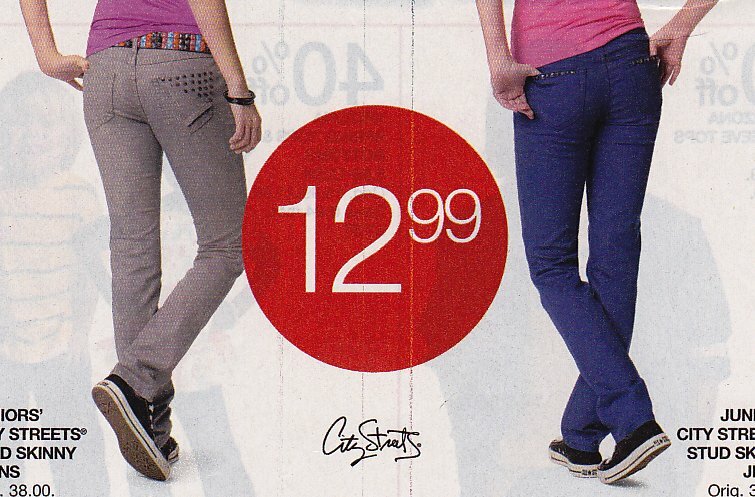 211 Ads for Levis and Jeansv Ad for faded blue and black jeans with red and black chucks. 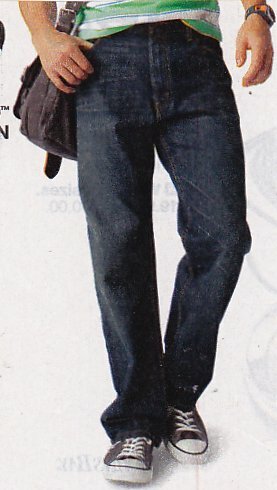 212 Ads for Levis and Jeans Ad for black and navy blue jeans with brown chucks and brown sandals. 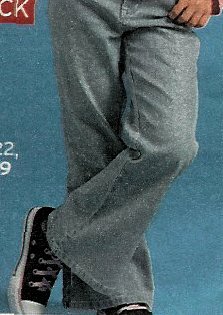 213 Ads for Levis and Jeans Ad for grey jeans with black chucks. 214 Ads for Levis and Jeans Ad for black jeans with optical white chucks. 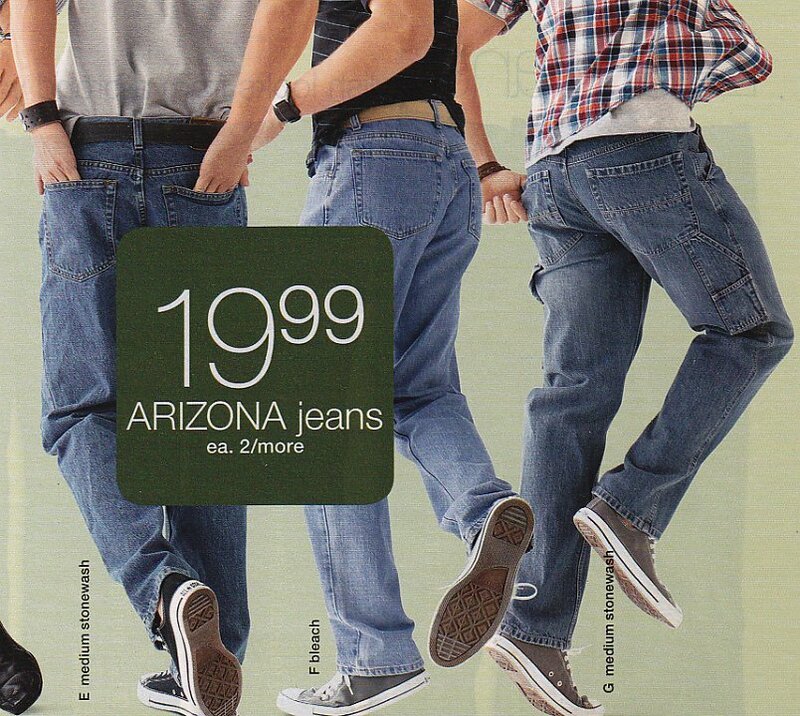 215 Ads for Levis and Jeans Ad for Arizona blue jeans with white chucks. 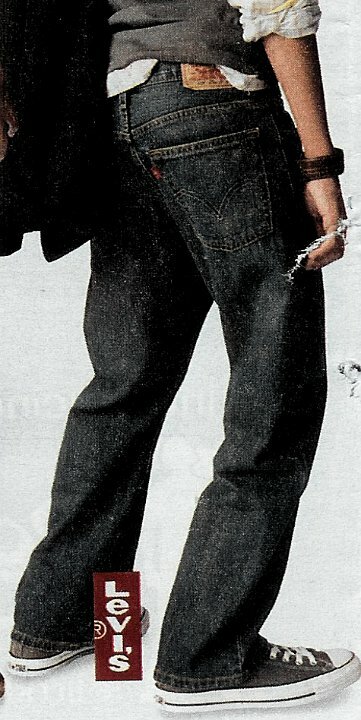 216 Ads for Levis and Jeans Ad for navy blue Lee jeans with black chucks. 217 Ads for Levis and Jeans Ad for navy blue jeans with navy blue chucks. 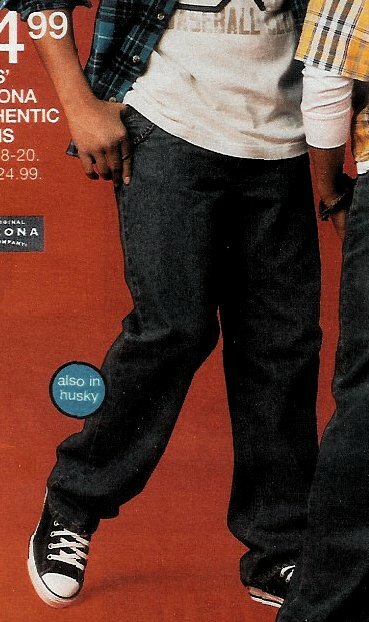 218 Ads for Levis and Jeans Ad for Urban Pipeline blue jeans with black chucks. 219 Ads for Levis and Jeans Ad for black jeans with brown chucks. 220 Ads for Levis and Jeans Ad for black jeans with black chucks. 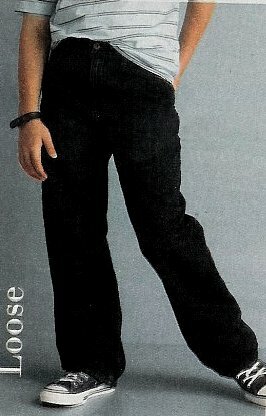 221 Ads for Levis and Jeans Ad for Lee navy blue jeans with black chucks. 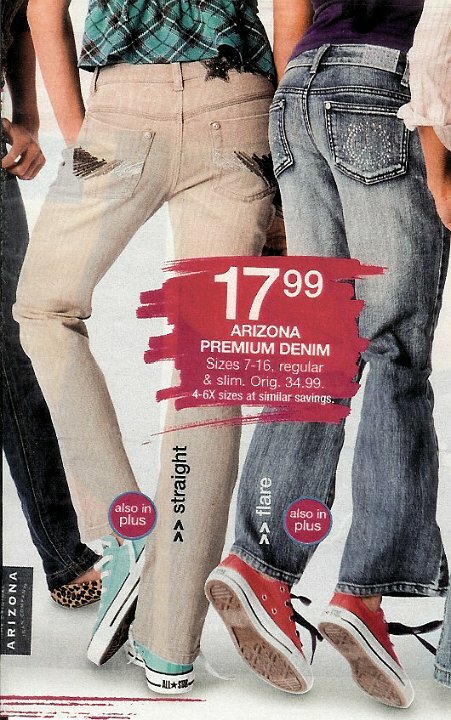 222 Ads for Levis and Jeans Ad for white and blue Arizona jeans with teal and red chucks. 223 Ads for Levis and Jeans Ad for navy blue jeans with white low cut chucks. 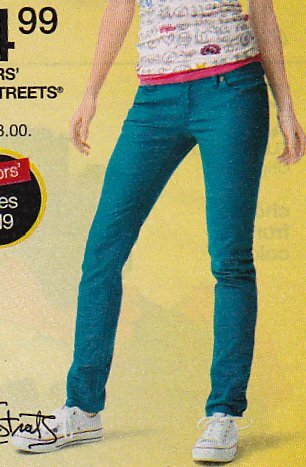 224 Ads for Levis and Jeans Ad for navy blue jeans with teal chucks. 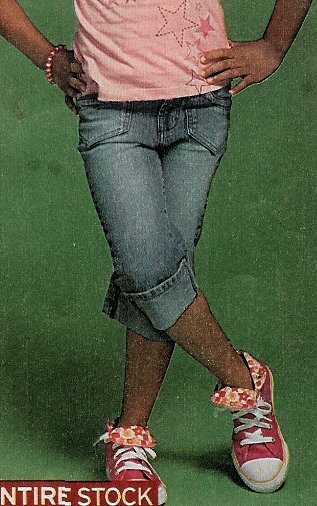 225 Ads for Levis and Jeans Ad for navy blue jeans with black and pink chucks. 226 Ads for Levis and Jeans Ad for blue jeans with black chucks. 227 Ads for Levis and Jeans Ad for blue jeans with black chucks. 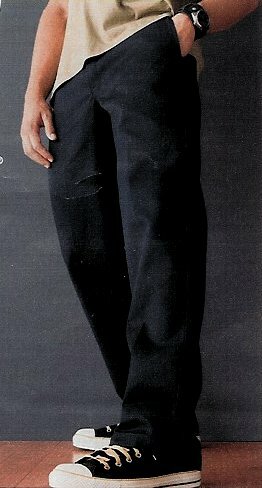 228 Ads for Levis and Jeans Ad for Degree navy blue jeans with black chucks. 229 Ads for Levis and Jeans Ad for black and blue jeans with dark purple chucks. 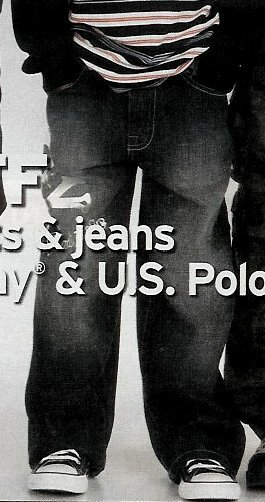 230 Ads for Levis and Jeans Ad for grey South Pole and Union Bay blue jeans with black chucks. 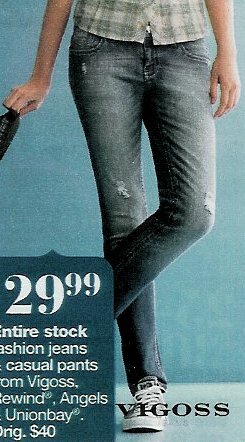 231 Ads for Levis and Jeans Ad for navy blue and grey jeans with natural white and black chucks. 232 Ads for Levis and Jeans Ad for black jeans with navy blue chucks. 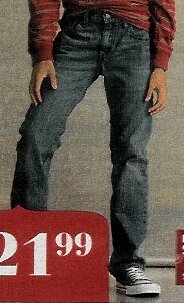 233 Ads for Levis and Jeans Ad for plaid red and black skinny jeans with black chucks. Note the unusual lacing. 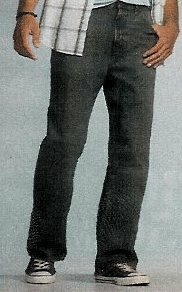 234 Ads for Levis and Jeans Ad for navy blue Urban Pipeline jeans with black chucks. 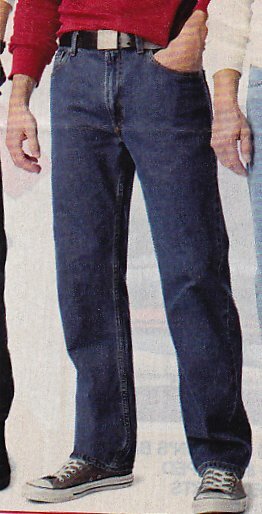 235 Ads for Levis and Jeans Ad for blue and navy blue jeans with black and navy blue chucks. 236 Ads for Levis and Jeans Ad for white and blue jeans with teal and red chucks. 237 Ads for Levis and Jeans Ad for black jeans with black chucks. 238 Ads for Levis and Jeans Ad for black jeans with black chucks. 239 Ads for Levis and Jeans Ad for blue Levis with chocolate brown chucks. 240 Ads for Levis and Jeans Ad for blue jeans with red low cut and black chucks. 241 Ads for Levis and Jeans Ad for black Levis with red chucks. 242 Ads for Levis and Jeans Ad for black jeans with white chucks. 244 Ads for Levis and Jeans Ad for blue jeans with grey chucks. 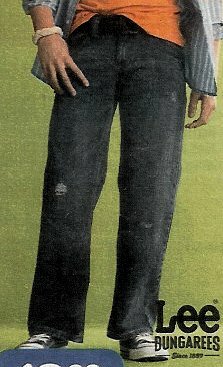 245 Ads for Levis and Jeans Ad for Union Bay blue jeans showing black chucks with grey laces. 246 Ads for Levis and Jeans Ad for blue jeans showing black chucks with black laces. 247 Ads for Levis and Jeans Ad for black jeans with black low cut chucks. 248 Ads for Levis and Jeans Ad for blue jeans with natural white chucks. 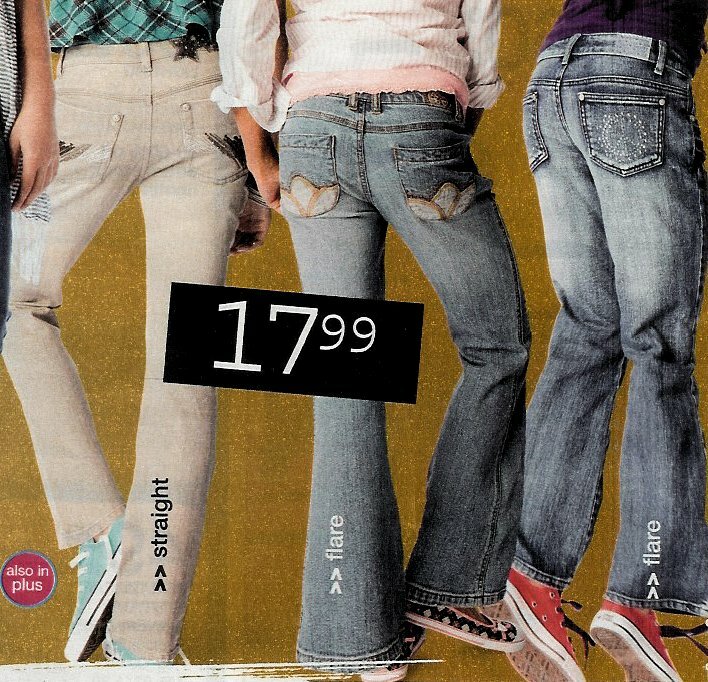 249 Ads for Levis and Jeans Ad for red jeans showing black low cuts with rainbow prinit laces. 250 Ads for Levis and Jeans Ad for blue jeans with blue chucks. 251 Ads for Levis and Jeans Ad for black levis with black chucks. 252 Ads for Levis and Jeans Ad for blue levis with black chucks. 253 Ads for Levis and Jeans Ad for blue Arizona jeans with black chucks. 254 Ads for Levis and Jeans Ad for Dickies kahki work pants with black chucks. 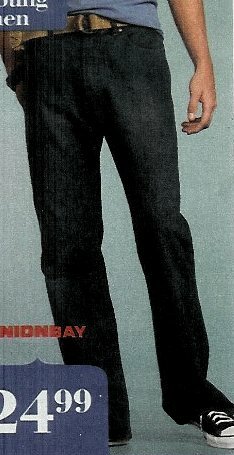 255 Ads for Levis and Jeans Ad for Union Bay blue jeans with black chucks. 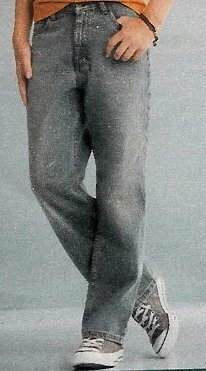 256 Ads for Levis and Jeans Ad for Vigoss blue jeans with grey chucks. 257 Ads for Levis and Jeans Ad for blue levis with grey chucks. 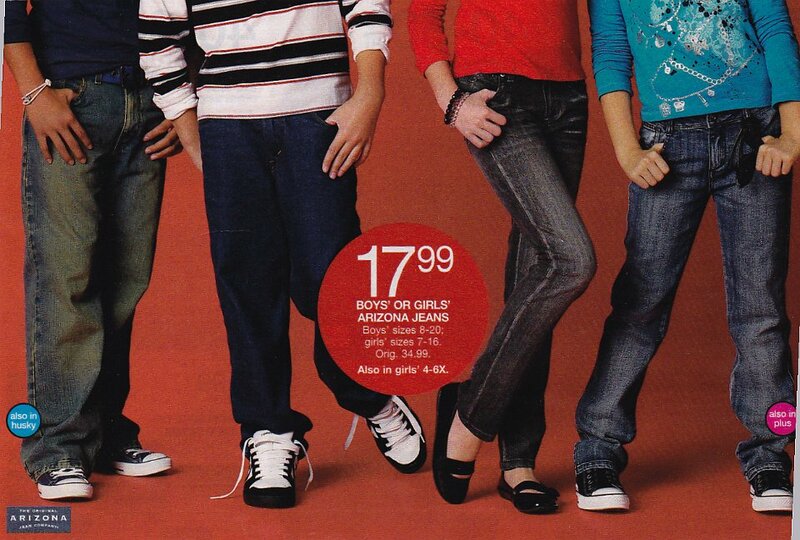 258 Ads for Levis and Jeans Ad for blue and black jeans with red and black high top chucks. 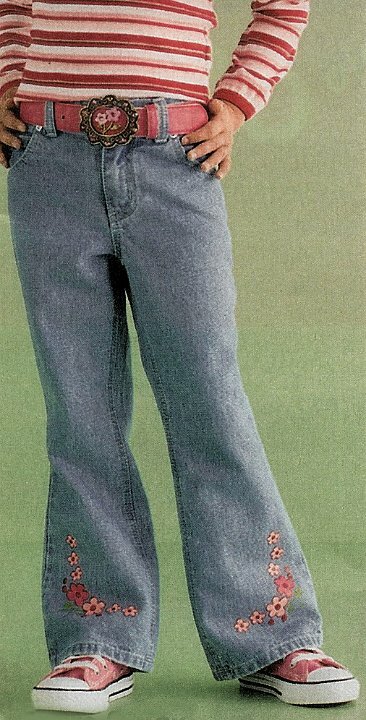 259 Ads for Levis and Jeans Ad for blue bell bottom jeans with Carolina blue chucks. 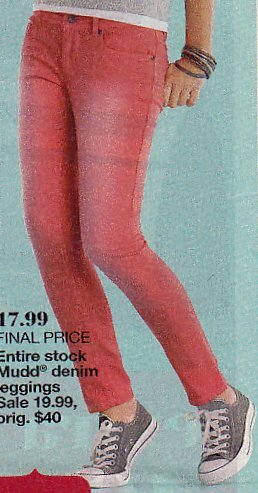 260 Ads for Levis and Jeans Ad for Mudd black jeans with optical white low cuts. 261 Ads for Levis and Jeans Ad for black levis with black chucks. 262 Ads for Levis and Jeans Ad for blue levis with black chucks. 263 Ads for Levis and Jeans Ad for blue levis with black chucks. 264 Ads for Levis and Jeans Ad for blue levis with black chucks. 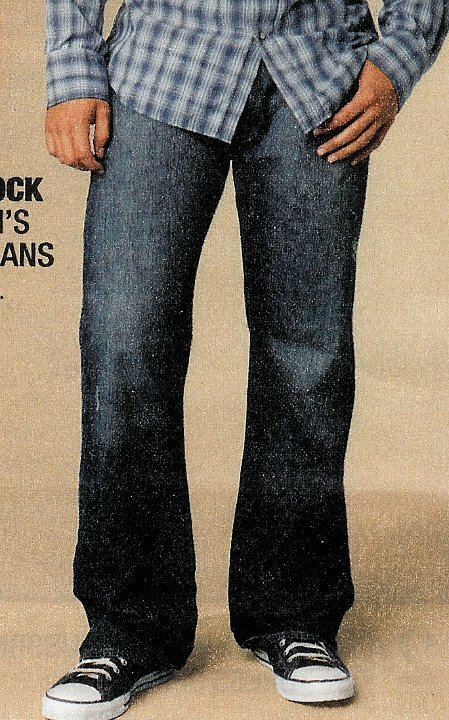 265 Ads for Levis and Jeans Ad for faded blue bell bottoms with red chucks. 266 Ads for Levis and Jeans Ad for blue and black levis with black and grey chucks. 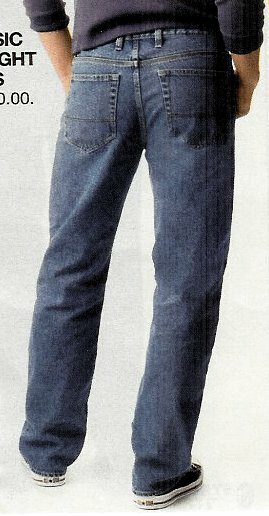 267 Ads for Levis and Jeans Ad for dark blue 514 Levis with brown chucks. 268 Ads for Levis and Jeans Ad for blue Levis with black chucks. 269 Ads for Levis and Jeans Ad for black Levis with optical white chucks. 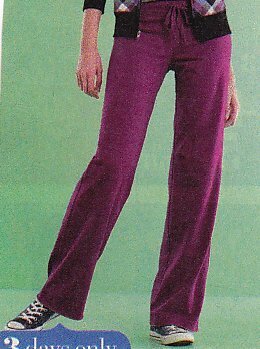 270 Ads for Levis and Jeans Ad for purple jeans showing black chucks with purple laces. 271 Ads for Levis and Jeans Ad for black Levis with optical white chucks. 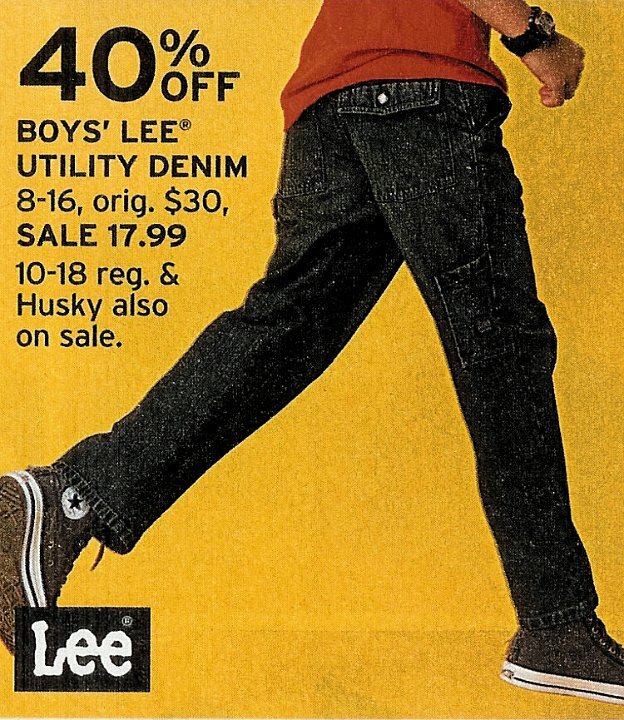 272 Ads for Levis and Jeans Ad for blue Lee jeans with black chucks. 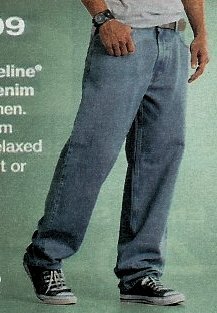 273 Ads for Levis and Jeans Ad for blue Urban Pipeline jeans with black chucks. 274 Ads for Levis and Jeans Ad for blue Levis with black chucks. 275 Ads for Levis and Jeans Ad for blue Levis with black chucks. 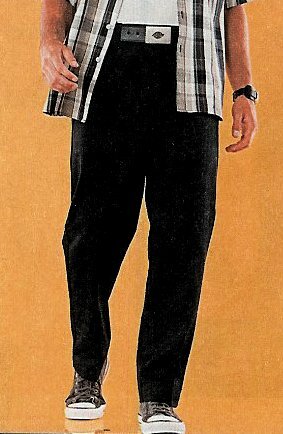 276 Ads for Levis and Jeans Ad for Dickies khakis with black chucks. 277 Ads for Levis and Jeans Ad for black designer jeans showing black low cut chucks with purple laces and pink print pattern high tops. 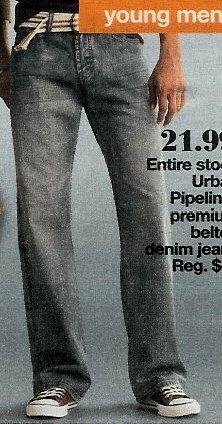 278 Ads for Levis and Jeans Ads for designer jeans with black high top chucks. 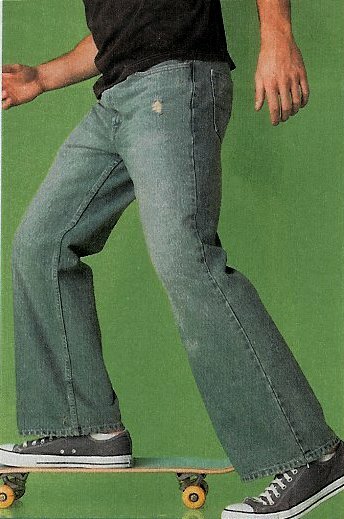 279 Ads for Levis and Jeans Ad for royal blue and green jeans with low cut optical white chucks. 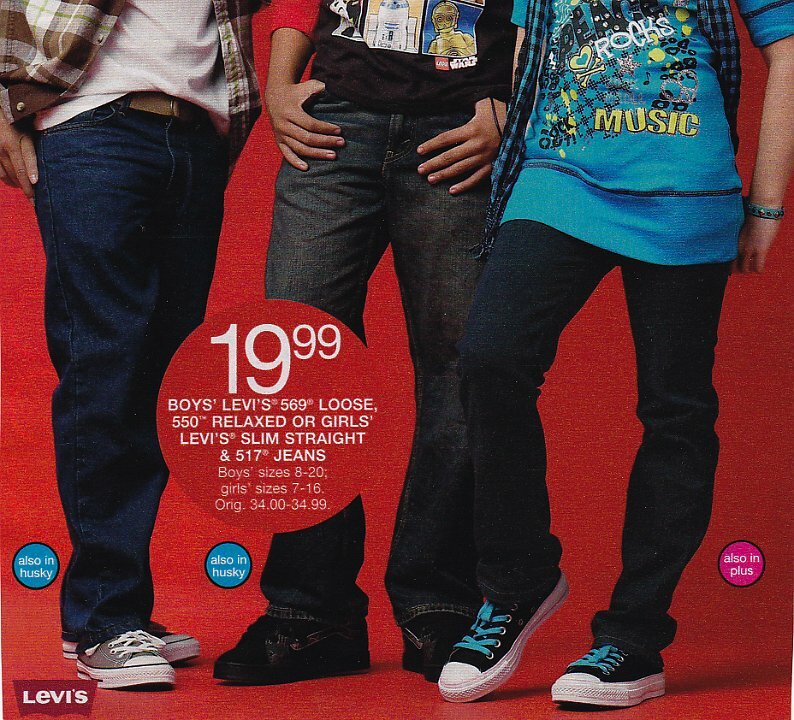 280 Ads for Levis and Jeans Ad for blue and black levis with red and black high top chucks. 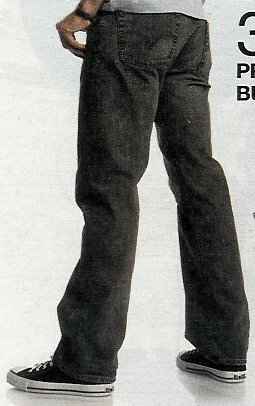 281 Ads for Levis and Jeans Ad for black Lee Dungarees with black chucks. 282 Ads for Levis and Jeans Ad for black Levis with navy blue chucks. 283 Ads for Levis and Jeans Ad for blue Levis with black chucks. 284 Ads for Levis and Jeans Ad for blue levis with black chucks. 285 Ads for Levis and Jeans Ad for faded blue levis with red chucks. 286 Ads for Levis and Jeans Ad for faded blue levis with grey chucks. 287 Ads for Levis and Jeans Ad for black levis with black chucks. 288 Ads for Levis and Jeans Ad for black Levis with black chucks. 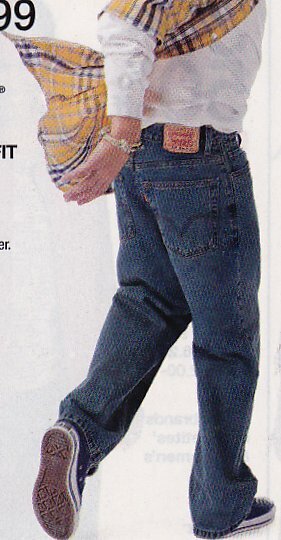 289 Ads for Levis and Jeans Ad for dark blue levis with black and pink 2-tone chucks. 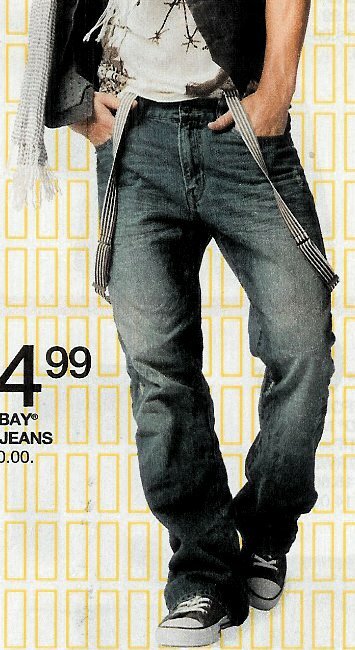 290 Ads for Levis and Jeans Ad for blue jeans showing black extra high tops with yellow laces. 291 Ads for Levis and Jeans Ad for black Levis with black chucks. 292 Ads for Levis and Jeans Ad for blue Levis with black chucks. 293 Ads for Levis and Jeans Ad for faded blue Levis with grey chucks. 294 Ads for Levis and Jeans Ad for faded blue Levis with grey chucks. 295 Ads for Levis and Jeans Ad for black Levis with black chucks. 296 Ads for Levis and Jeans Ad for black levis with black chucks. 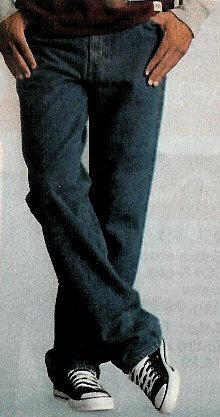 298 Ads for Levis and Jeans Ad for black Arizone jeans with black chucks. 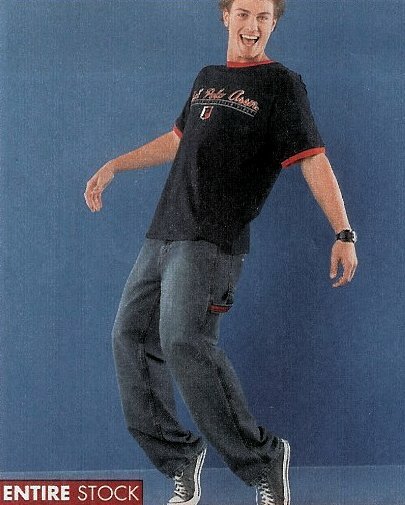 299 Ads for Levis and Jeans Ad for black Tony Hawk jeans with grey chucks. 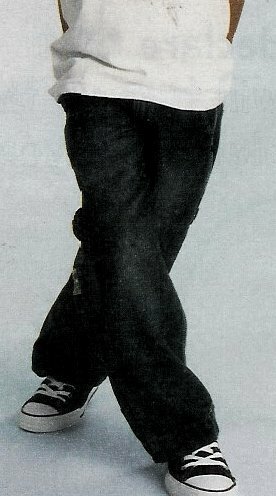 300 Ads for Levis and Jeans Ad for black designer jeans showing black high top chucks with black laces. 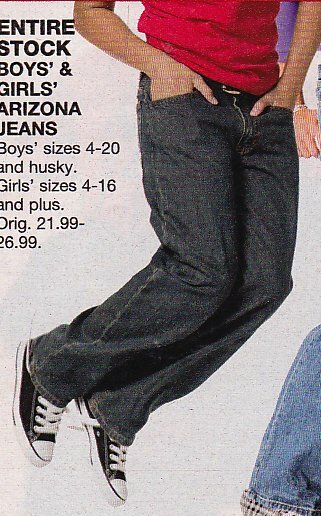 301 Ads for Levis and Jeans Ad for black Arizona jeans with black chucks. 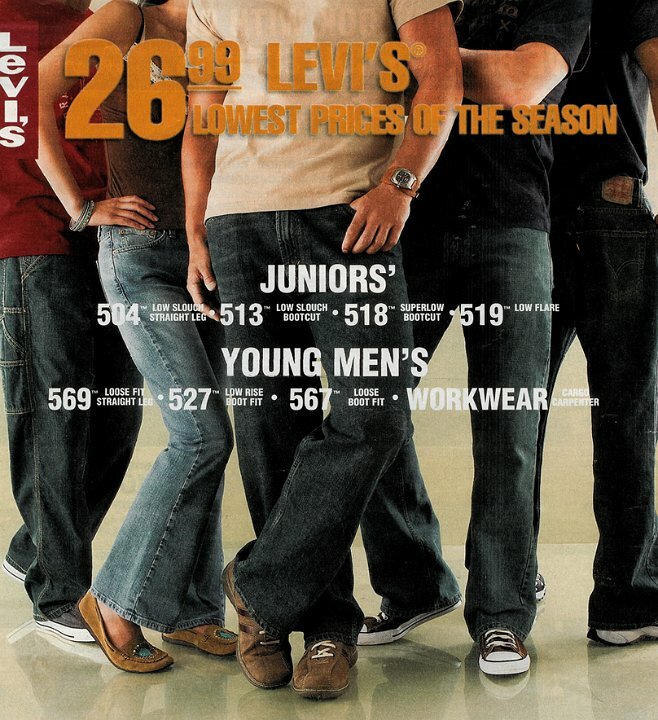 302 Ads for Levis and Jeans Ad for various models of Levis showing black, brown and red chucks. 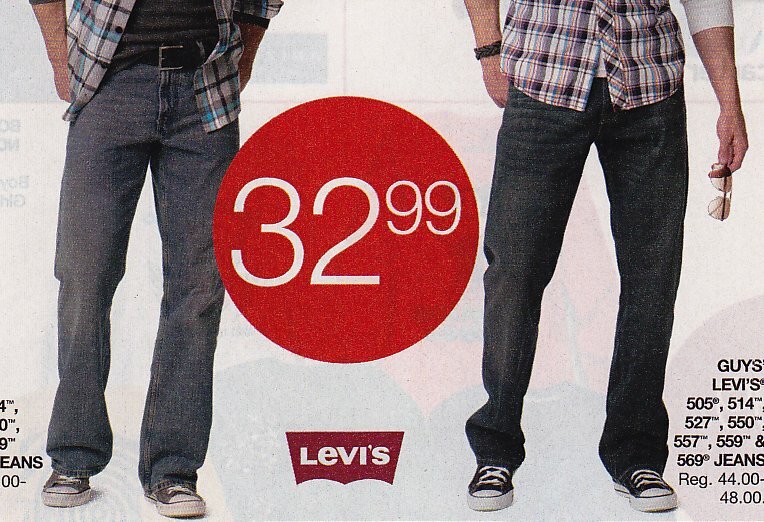 303 Ads for Levis and Jeans Ad for black 511 skinny Levis with grey chucks. 304 Ads for Levis and Jeans Ad for blue levis with black chucks. 305 Ads for Levis and Jeans Ad for red and black levis with black chucks. 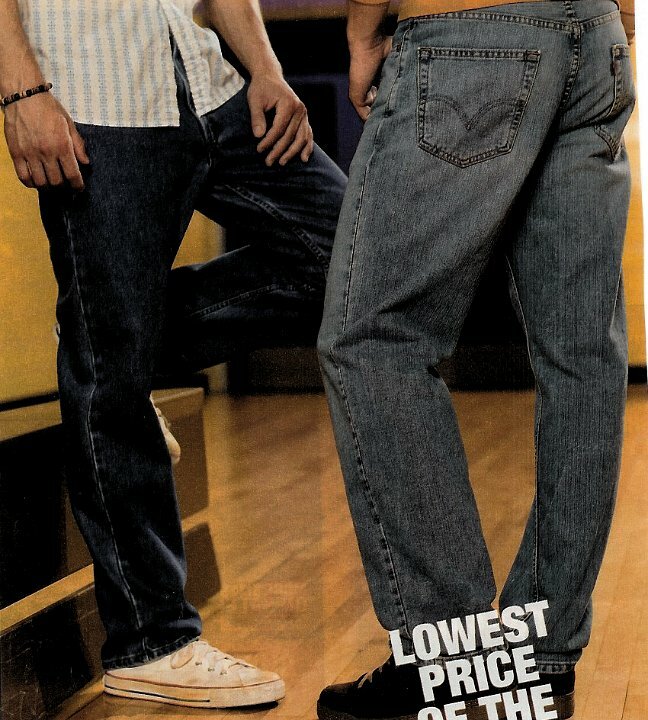 306 Ads for Levis and Jeans Ad for blue Levis with black low cut chucks. 307 Ads for Levis and Jeans Ad for blue Levis with black chucks. 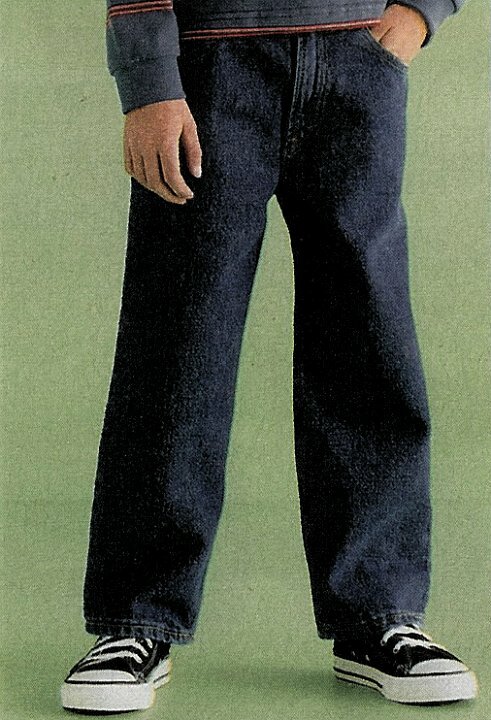 308 Ads for Levis and Jeans Ad for dark blue levis with black chucks. 309 Ads for Levis and Jeans Ad for black levis with black chucks. 310 Ads for Levis and Jeans Ad for black levis showing purple chucks with neon lime laces. 311 Ads for Levis and Jeans Ad for black Levis with black chucks. 312 Ads for Levis and Jeans Ad for grey Levis showing black chucks with neon pink laces and blue levis with charcoal grey chucks. 313 Ads for Levis and Jeans Ad for black and blue levis with blue and black chucks. 314 Ads for Levis and Jeans Ad for faded blue levis with optical white chucks. 315 Ads for Levis and Jeans Ad for black Levis with black and grey chucks. 316 Ads for Levis and Jeans Ad for black Levis with grey chucks. 317 Ads for Levis and Jeans Ad for blue Levis with black chucks. 318 Ads for Levis and Jeans Ad for black levis with red low cut chucks. 319 Ads for Levis and Jeans Ad for dark blue Levis with black chucks. 320 Ads for Levis and Jeans Ad for black levis with black chucks. 321 Ads for Levis and Jeans Ad for black 505 Levis with black chucks. 322 Ads for Levis and Jeans Ad for blue levis with grey chucks. 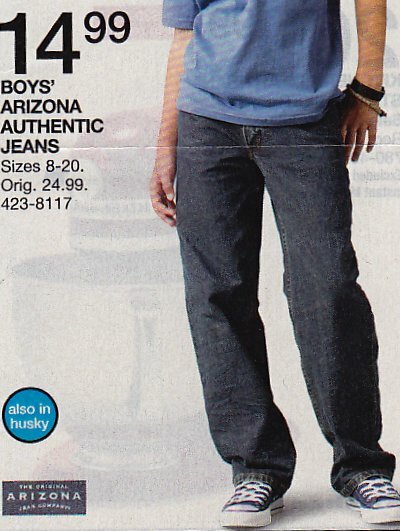 323 Ads for Levis and Jeans Ad for blue Arizona jeans with black chucks. 324 Ads for Levis and Jeans Ad for blue Levis with grey and black chucks. 325 Ads for Levis and Jeans Ad for black levis with black chucks. 326 Ads for Levis and Jeans Ad for blue Levis with black chucks. 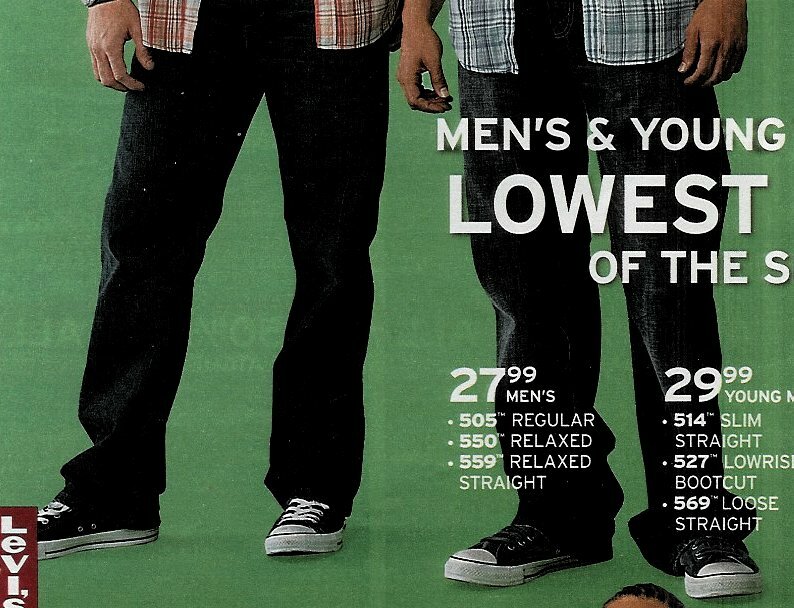 327 Ads for Levis and Jeans Ad for bright blue jeans with low cut optical white chucks. 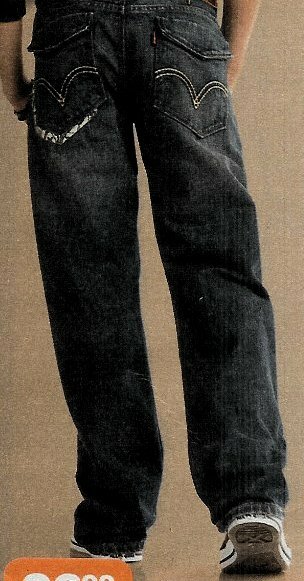 328 Ads for Levis and Jeans Ad for blue Arizona jeans with black chucks. 329 Ads for Levis and Jeans Ad for black levis with black chucks. 330 Ads for Levis and Jeans Ad for black levis with black chucks. 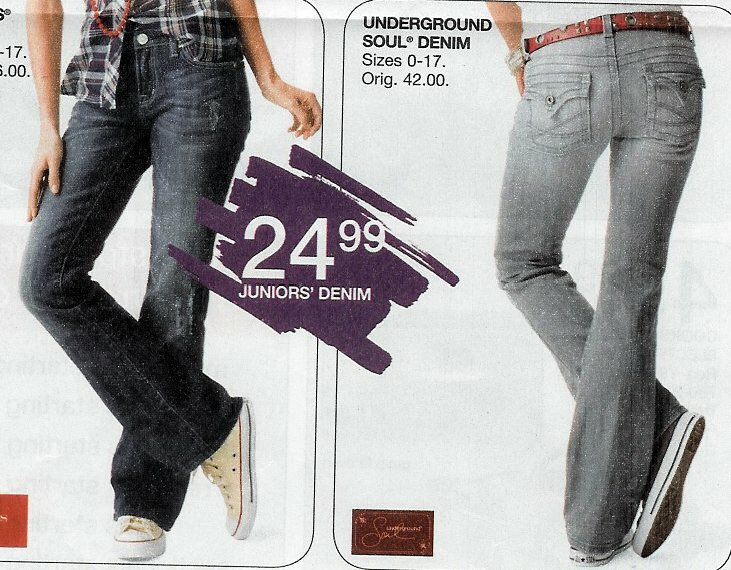 331 Ads for Levis and Jeans Ad for patched blue Levis showing purple chucks with purple laces. 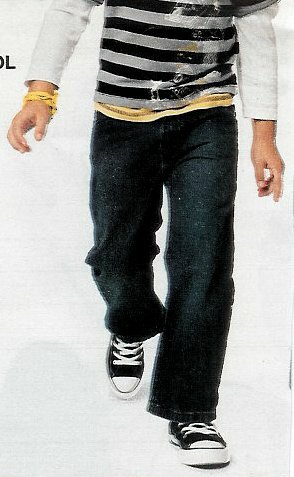 332 Ads for Levis and Jeans Ad for blue Levis showing Carloina blue chucks with yellow laces. 333 Ads for Levis and Jeans Ad for blue Levis with black chucks. 334 Ads for Levis and Jeans Ad for blue and black Levis with unbleached white and black chucks. 335 Ads for Levis and Jeans Ad for blue levis with brown chucks. 336 Ads for Levis and Jeans Ad for blue Levis with grey chucks. 337 Ads for Levis and Jeans Ad for blue Levis with grey chucks. 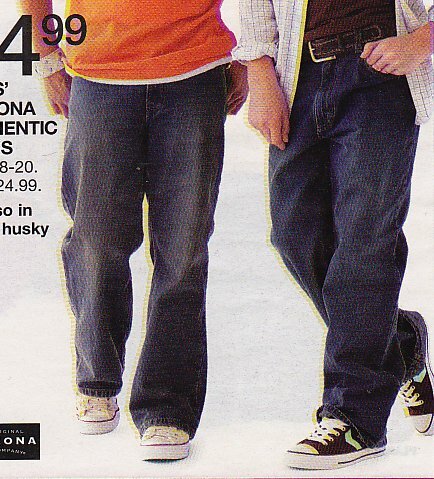 338 Ads for Levis and Jeans Ad for blue Arizona jeans with black chucks. 339 Ads for Levis and Jeans Ad for blue levis with natural white and black chucks. 340 Ads for Levis and Jeans Ad for blue levis with black chucks. 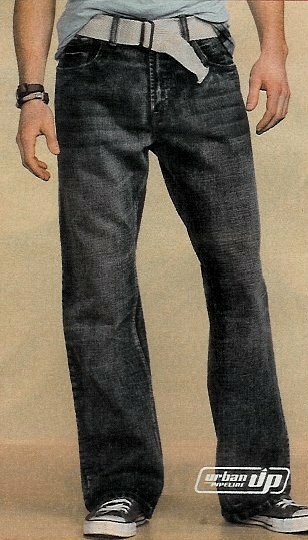 343 Ads for Levis and Jeans d for dark blue and blue Levi's, and black and white chucks. 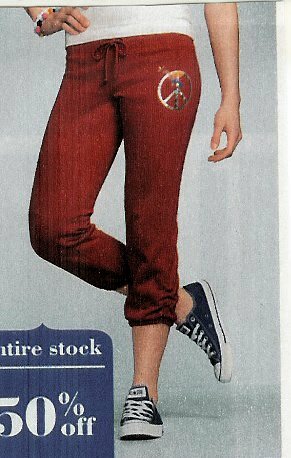 344 Ads for Levis and Jeans Ad for pattern print leggings with low cut grey chucks. 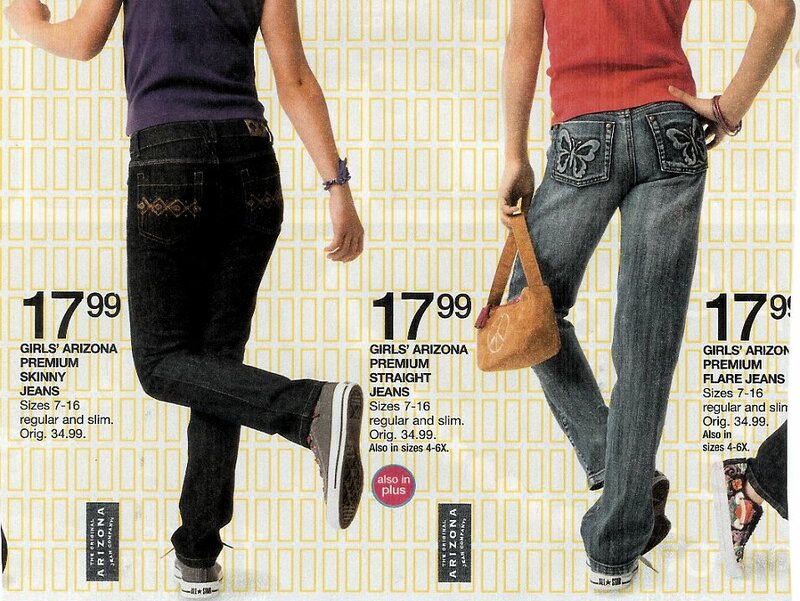 345 Ads for Levis and Jeans Ad for Arizona jeans with black and natural white chucks. 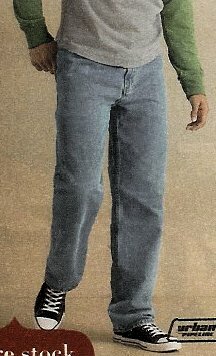 346 Ads for Levis and Jeans Ad for blue Levis with red low cut and black high top chucks. 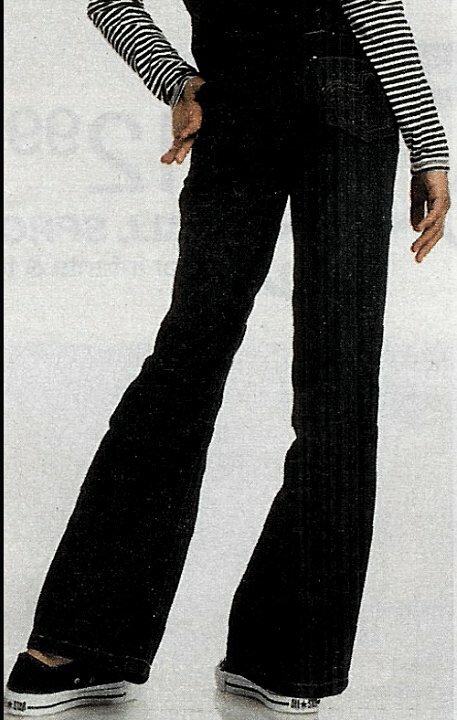 347 Ads for Levis and Jeans Ad for designer jeans with black and black and pink 2-tone high top chucks. 348 Ads for Levis and Jeans Ad for blue levis with red chucks. 349 Ads for Levis and Jeans Ad for faded blue Levis with black chucks. 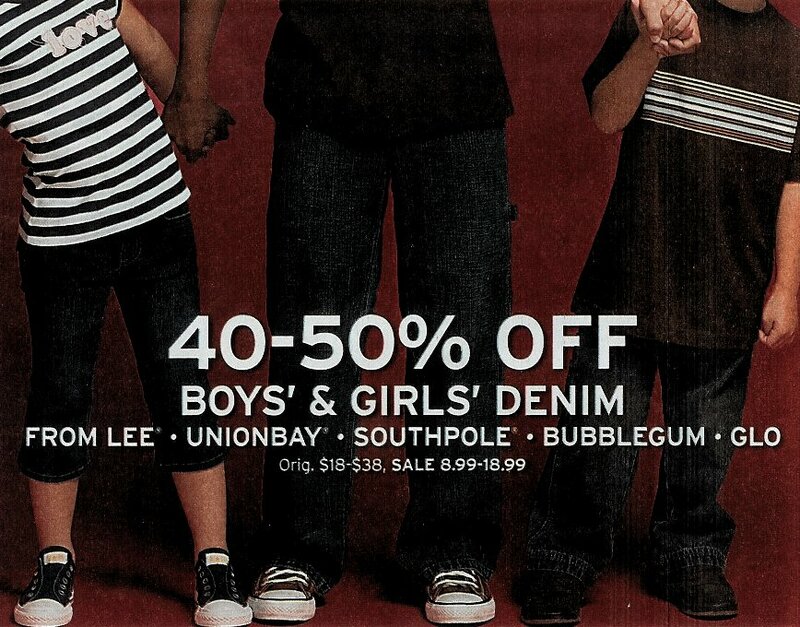 350 Ads for Levis and Jeans Ad for 511 skinny Levis with black chucks. 351 Ads for Levis and Jeans Ad for blue levis with grey chucks. 352 Ads for Levis and Jeans Ad for blue levis with black chucks. 353 Ads for Levis and Jeans Ad for bright blue jeans showing optical white chucks with blue print laces. 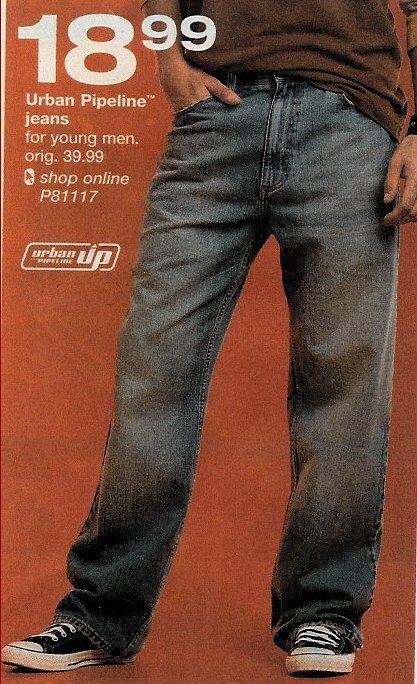 354 Ads for Levis and Jeans Ad for Union Bay faded blue jeans with black chucks. 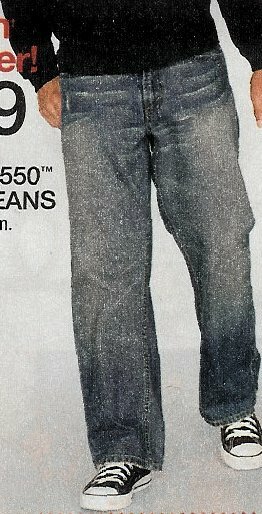 355 Ads for Levis and Jeans Ad for blue 514 Levis with grey chucks. 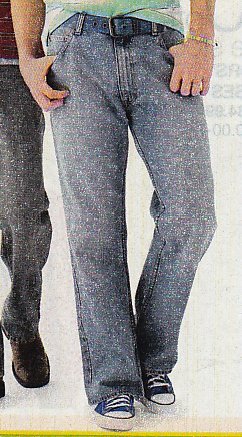 356 Ads for Levis and Jeans Ad for blue lUrban Pipeline jeans with grey chucks. 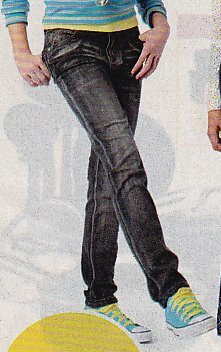 357 Ads for Levis and Jeans Ad for pink and bright blue City Streets jeans with black chucks. 358 Ads for Levis and Jeans Ad for blue Levis with black chucks. 359 Ads for Levis and Jeans Ad for faded blue bell bottom Levis with red chucks. 360 Ads for Levis and Jeans Ad for grey and blue City Streets jeans with black chucks. 361 Ads for Levis and Jeans Ad for dark blue Levi's and royal blue chucks. 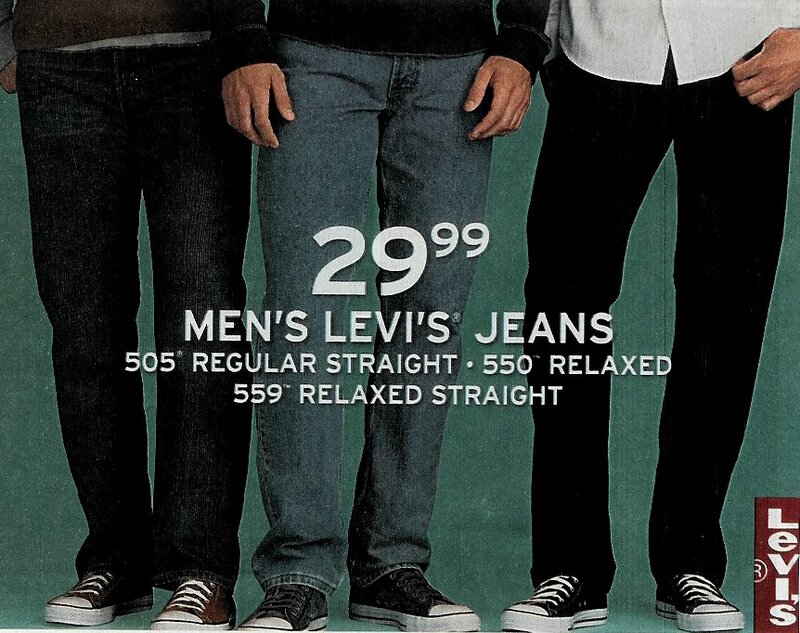 362 Ads for Levis and Jeans Ad for dark blue and blue Levi's, with black and optical white chucks. 363 Ads for Levis and Jeans Ad for pink jeans with black low cut chucks. 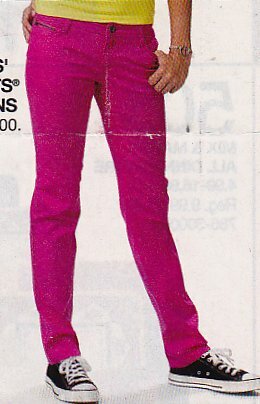 364 Ads for Levis and Jeans Ad for magenta pants with black chucks. 365 Ads for Levis and Jeans Ad for black Vans jeans with black chucks. 366 Ads for Levis and Jeans Ad for blue Levi's with black chucks. 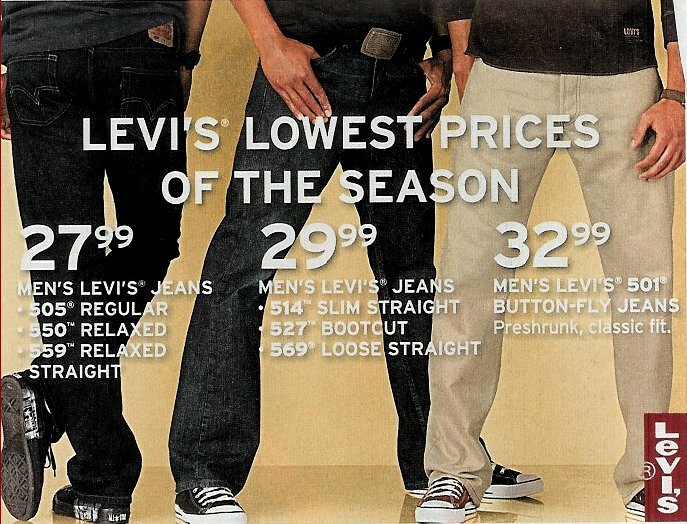 367 Ads for Levis and Jeans Ad for blue and gray skinny Levi's, with black low cut chucks. 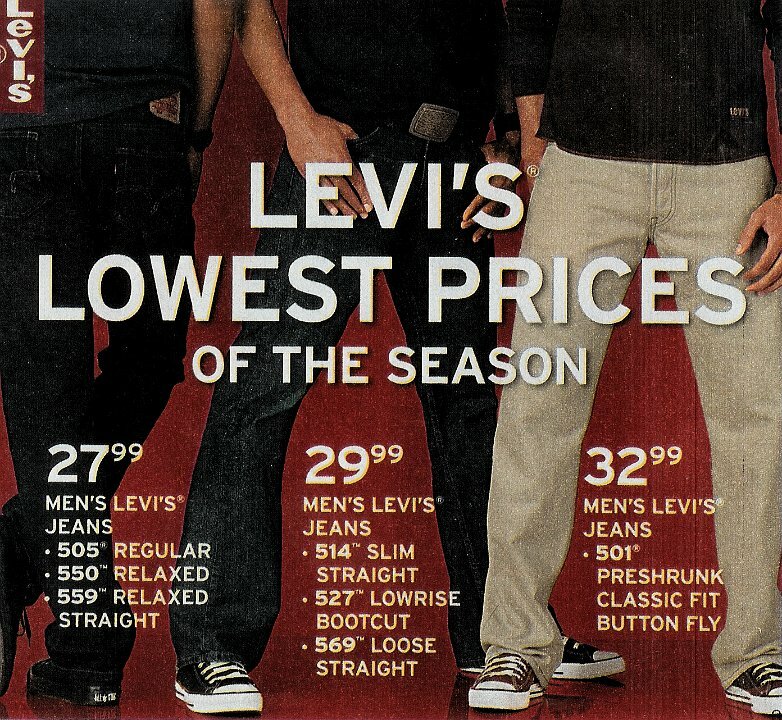 368 Ads for Levis and Jeans Ad for brown skinny Levi's, with black low cut chucks. 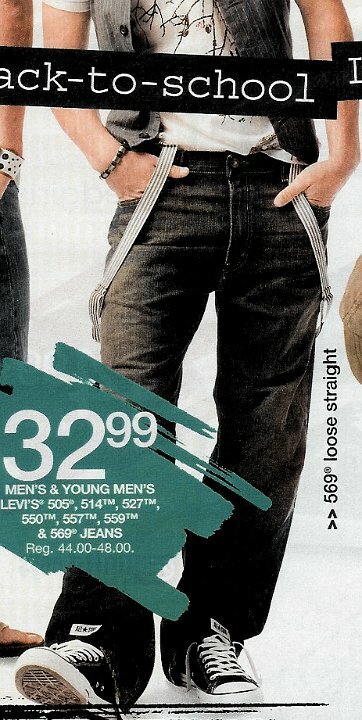 369 Ads for Levis and Jeans Ad for blue distressed rolled up Levis with gray low cut chucks. 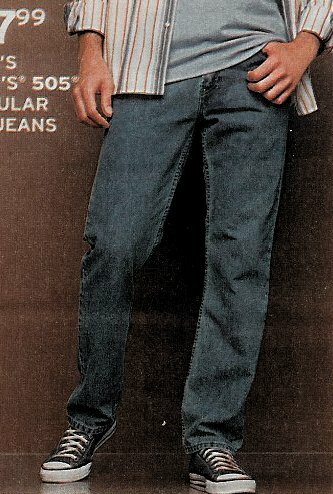 370 Ads for Levis and Jeans Ad for blue distressed rolled up Levis with gray low cut chucks. 371 Ads for Levis and Jeans Ad for Dark blue Levis with black chucks. 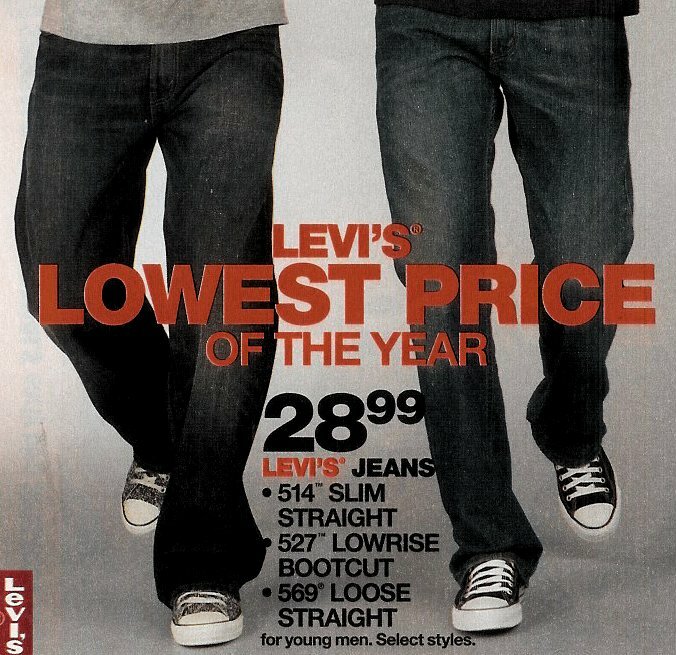 372 Ads for Levis and Jeans Ad for blue 557 Levis with black hightop chucks. 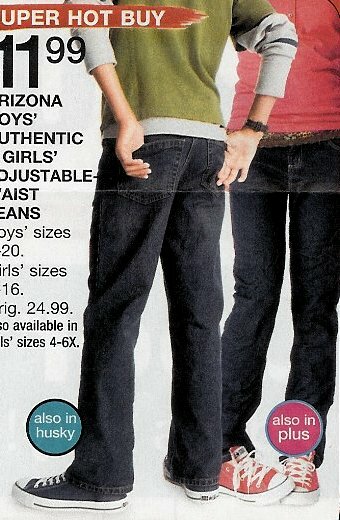 373 Ads for Levis and Jeans Ad for light and dark blue Arizona jeans with black, brown, and gray chucks. 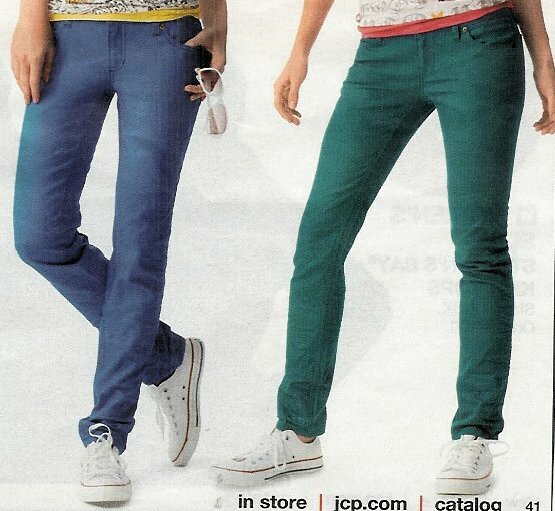 374 Ads for Levis and Jeans Ad for light blue Levis with purple chucks. 375 Ads for Levis and Jeans Ad for dark blue Levis with gray low cut chucks. 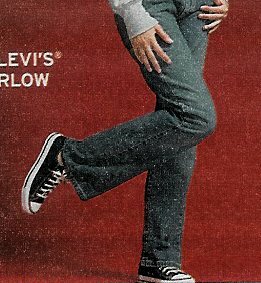 376 Ads for Levis and Jeans Ad for beige knee sweats with dark gray low cut chucks. 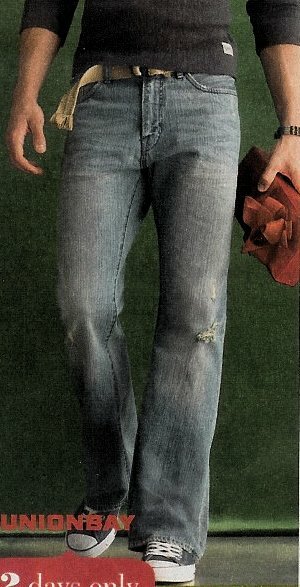 377 Ads for Levis and Jeans Ad for blue distressed rolled up Vigoss jeans with navy blue low cut chucks. 378 Ads for Levis and Jeans Ad for red straight Levis and chucks. 379 Ads for Levis and Jeans Ad for white Levis with white chucks. 380 Ads for Levis and Jeans Ad for dark blue Levis and dark gray chucks. 381 Ads for Levis and Jeans Ad for blue Levis and dark gray chucks. 382 Ads for Levis and Jeans Ad for light blue Levis with gray chucks. 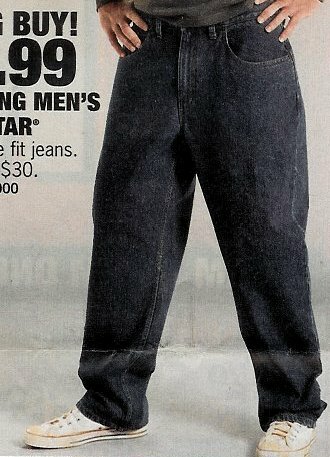 383 Ads for Levis and Jeans Ad for dark blue distresseed rolled up Levis with black low cut chucks. 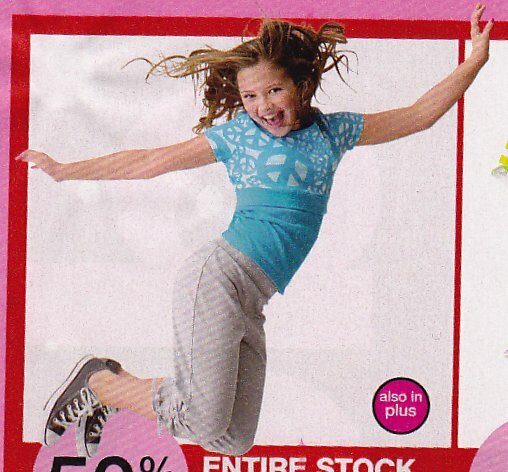 384 Ads for Levis and Jeans Ad for pink skinny Levis with black chucks. 385 Ads for Levis and Jeans Ad for blue Levis with black chucks. 388 Ads for Levis and Jeans Ad for light blue Levis and blue chucks. 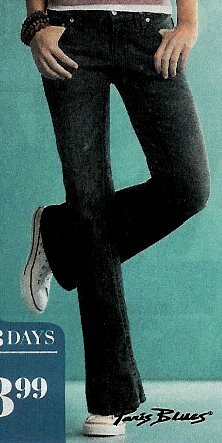 390 Ads for Levis and Jeans Ad for Somona blue jeans with natural white chucks and black with green chevron Converse. 393 Ads for Levis and Jeans Ad for black Levis with black chucks. 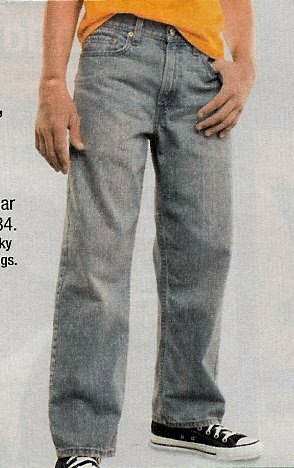 394 Ads for Levis and Jeans Ad for light blue Levis with gray chucks. 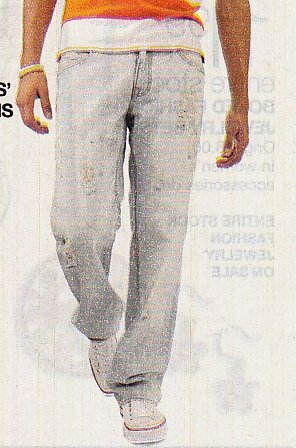 395 Ads for Levis and Jeans Ad for light blue distressed Levis with black chucks. 397 Ads for Levis and Jeans Ad for blue Levis with blue chucks. 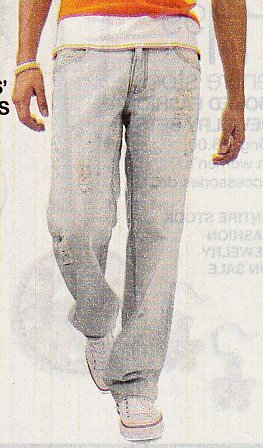 398 Ads for Levis and Jeans Ad for white Levis with optical white chucks. 399 Ads for Levis and Jeans Ad for blue Arizona jeans with black chucks.